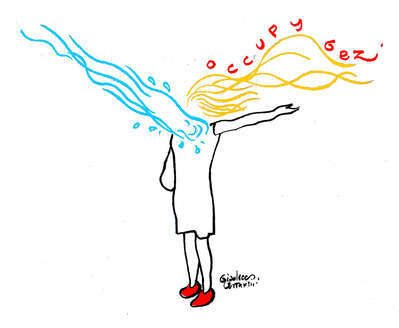 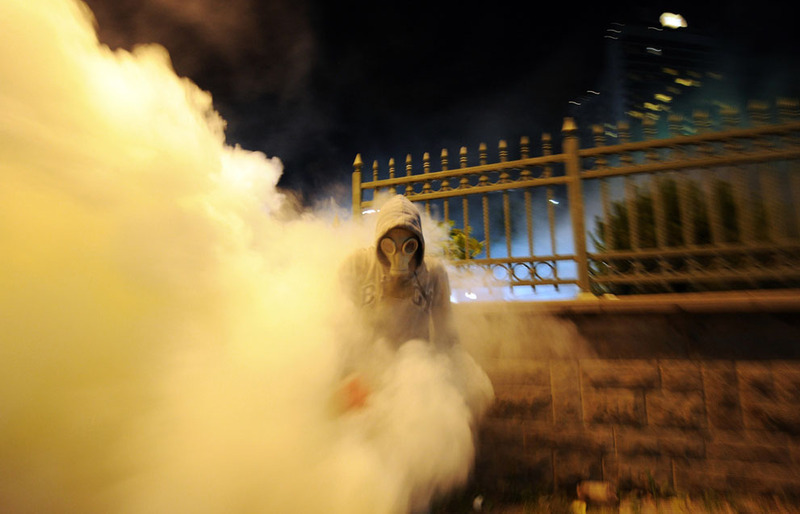 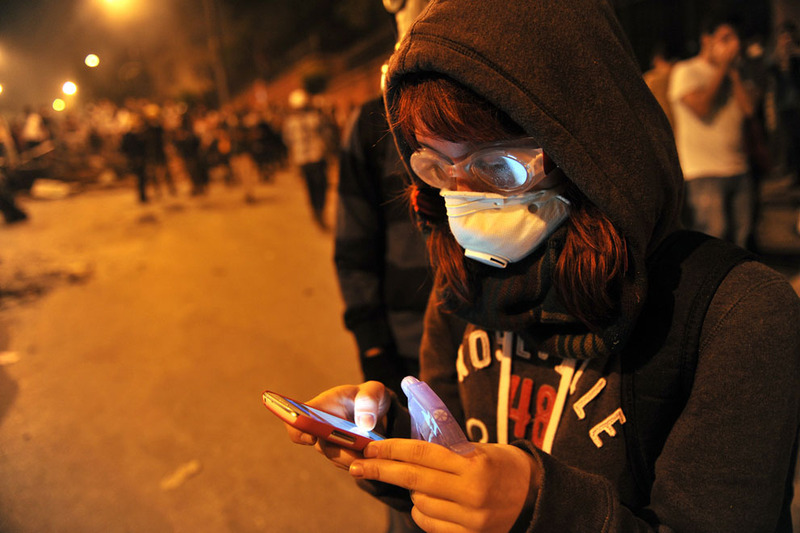 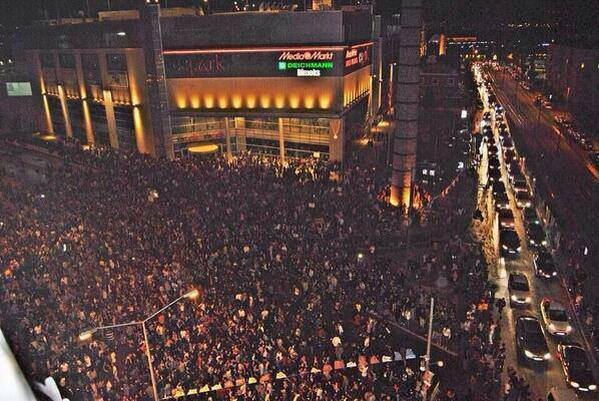 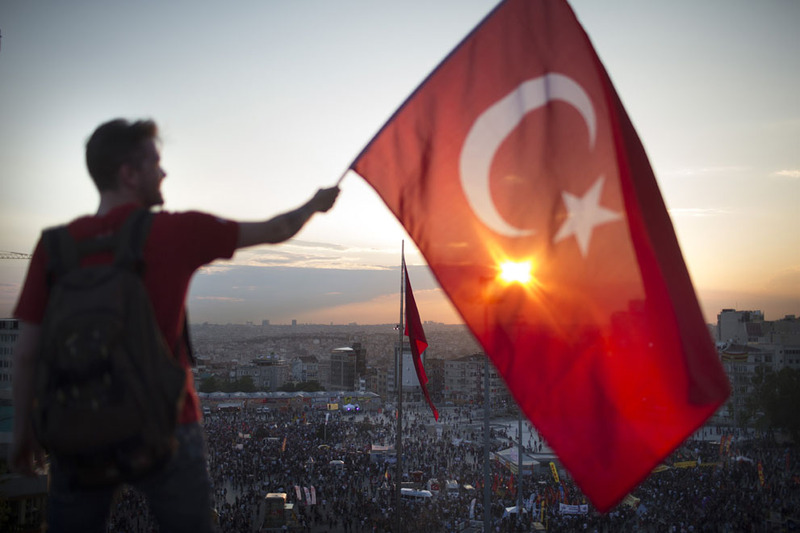 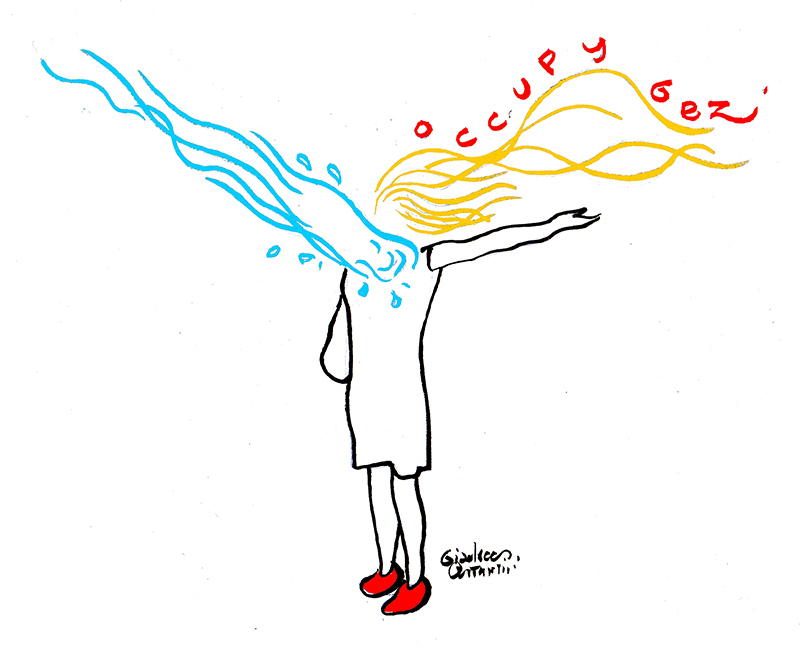 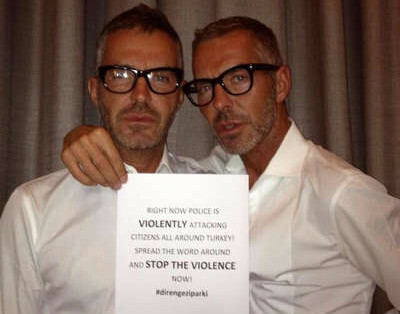 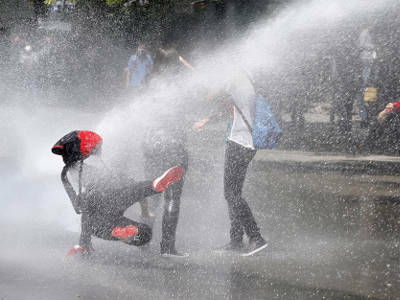 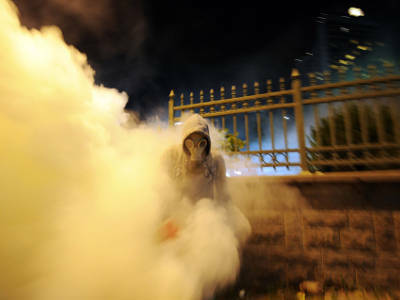 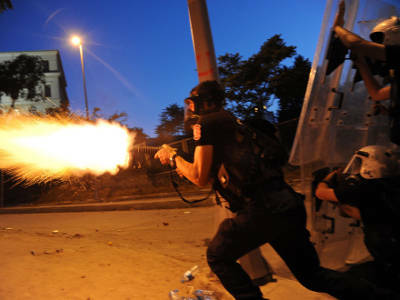 Police violence in Ankara continued the whole day. 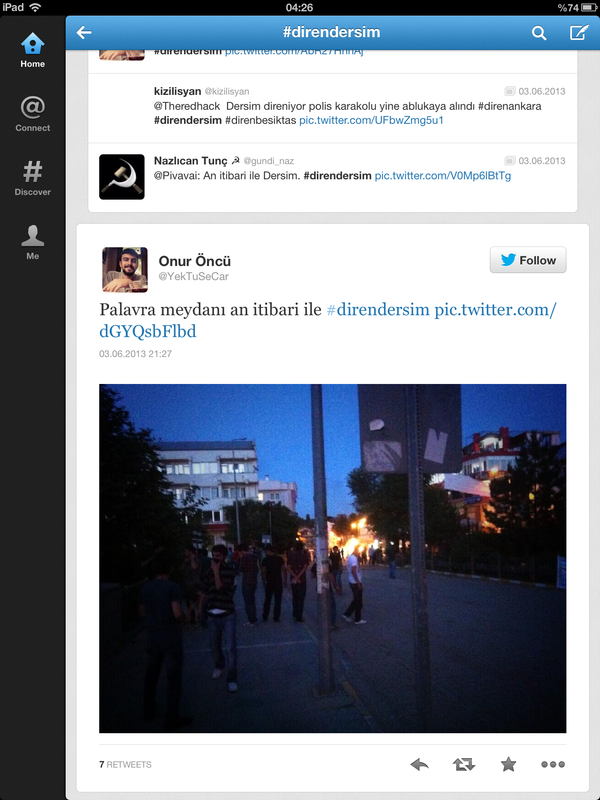 The first official statement of a dead is announced this day. 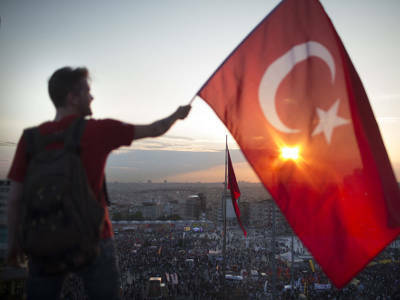 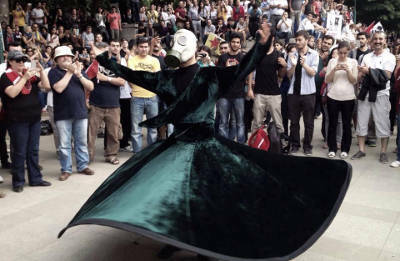 Also the Union of Turkish doctors are stated that there are 1714 wounded people all around Turkey, of which some are injured seriously to the point of losing their vision. 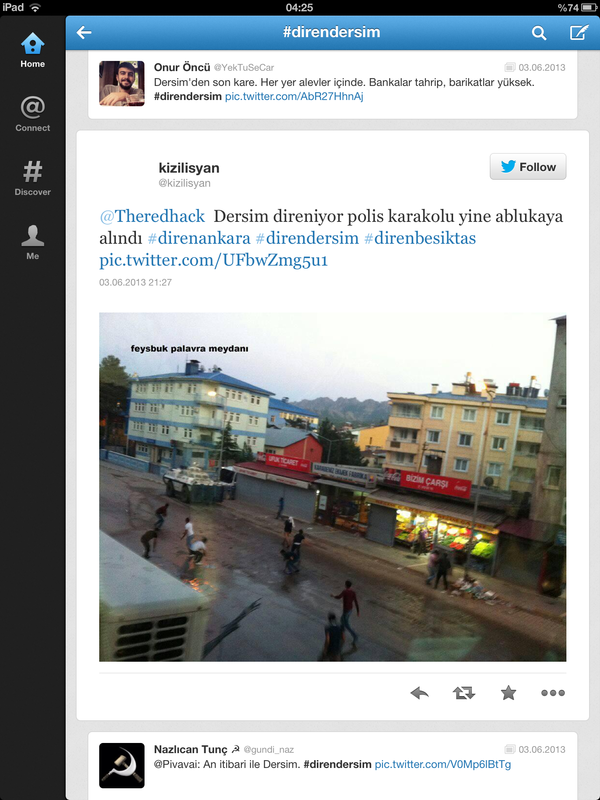 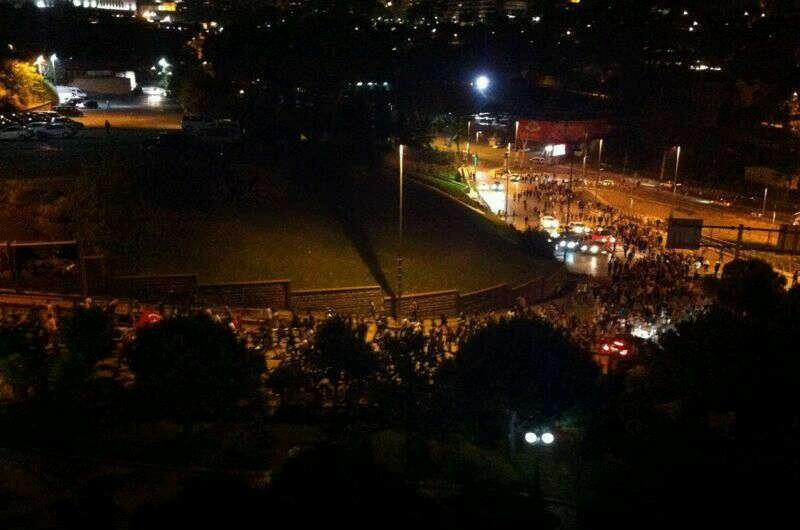 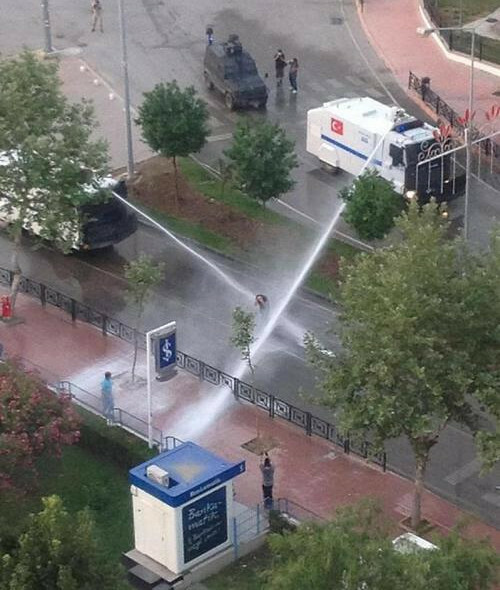 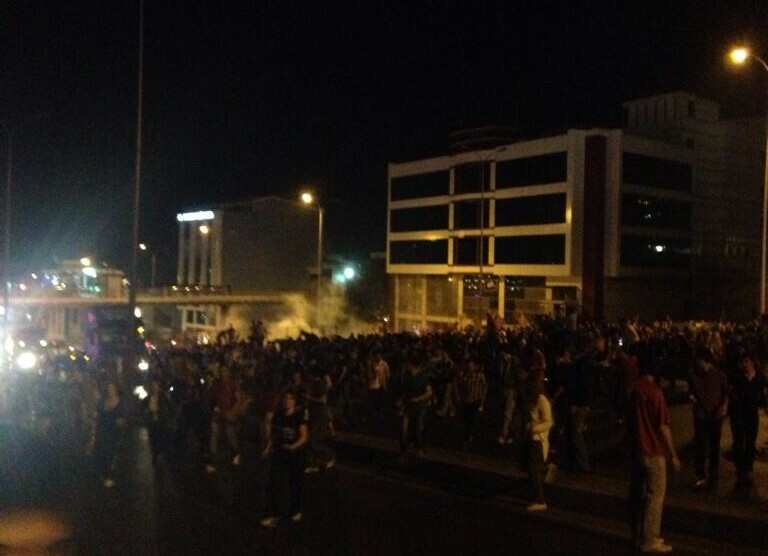 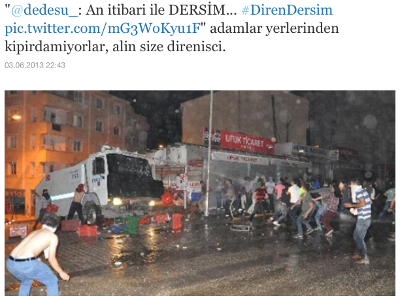 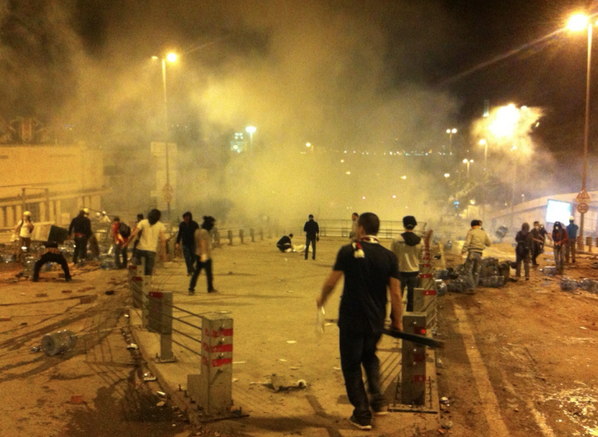 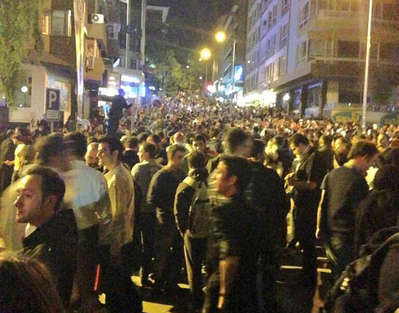 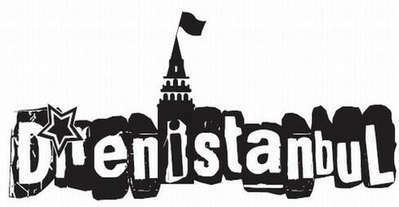 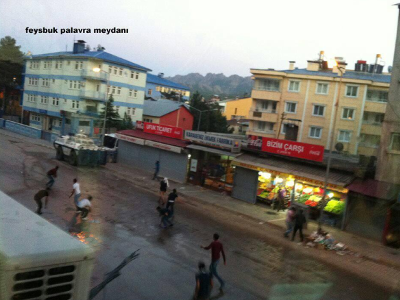 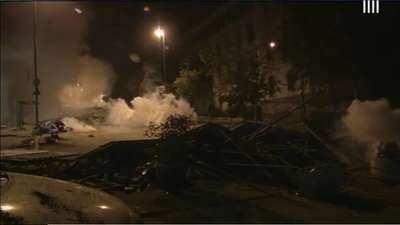 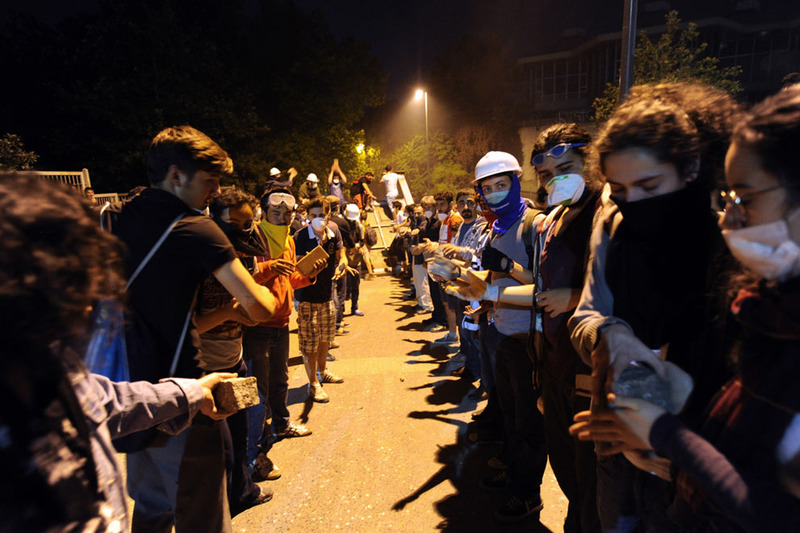 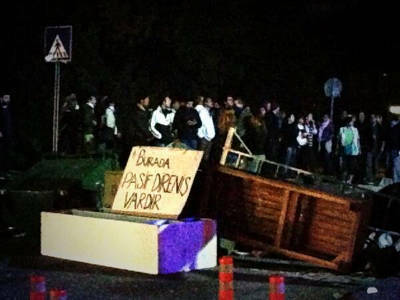 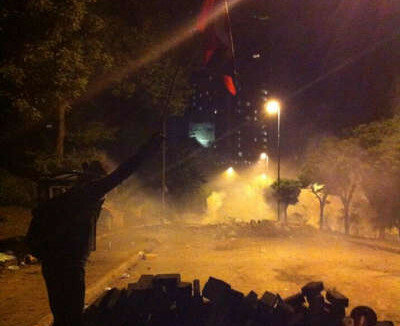 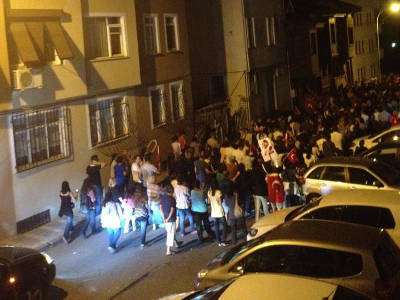 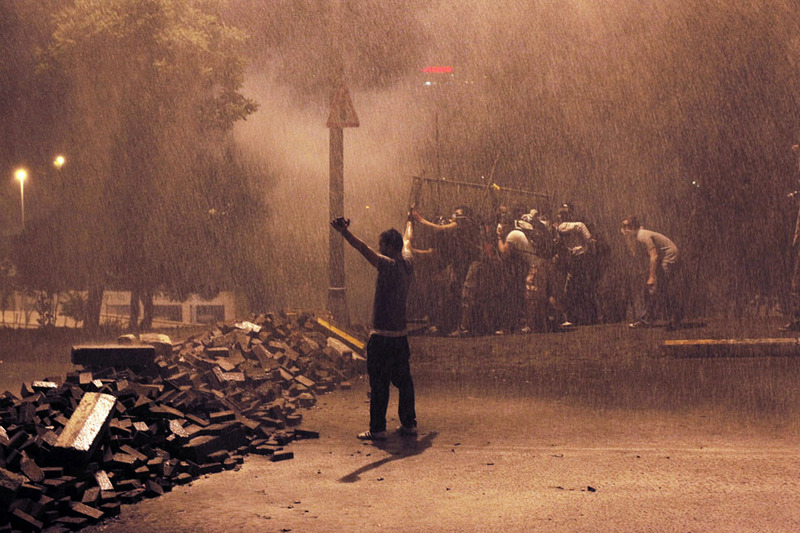 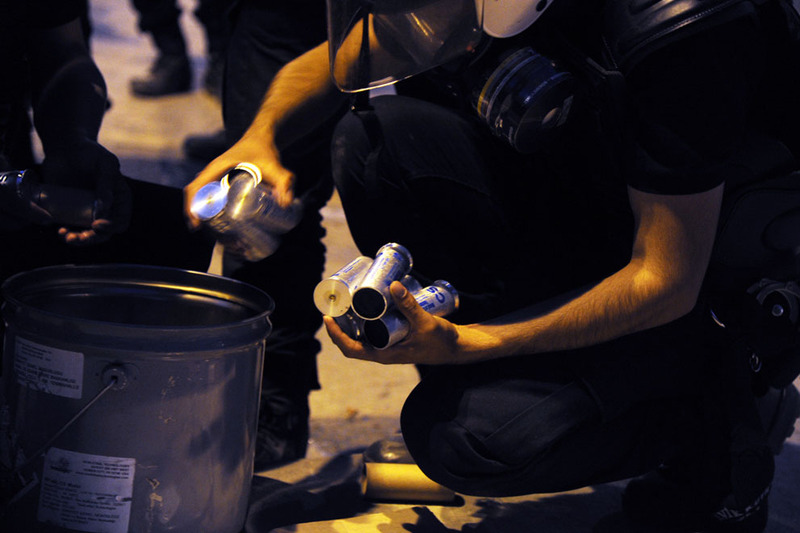 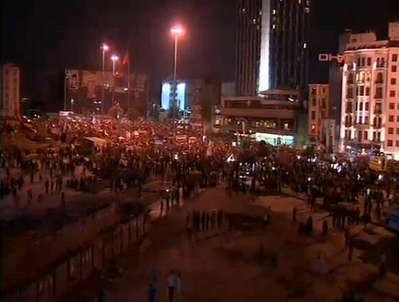 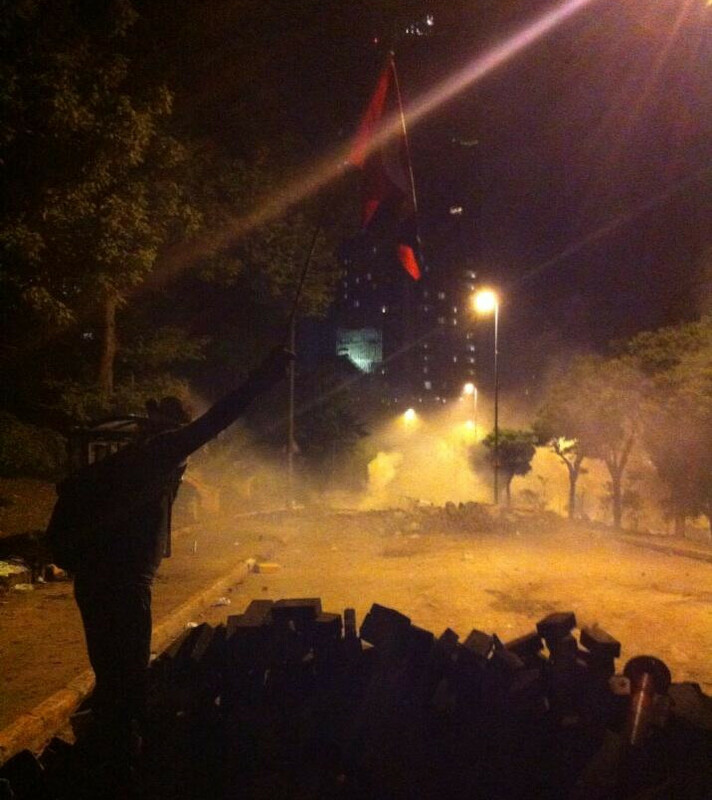 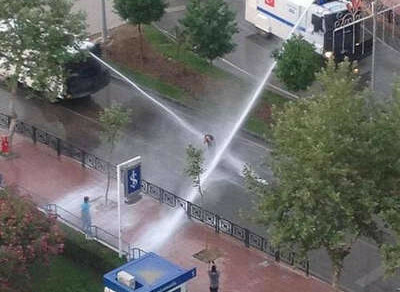 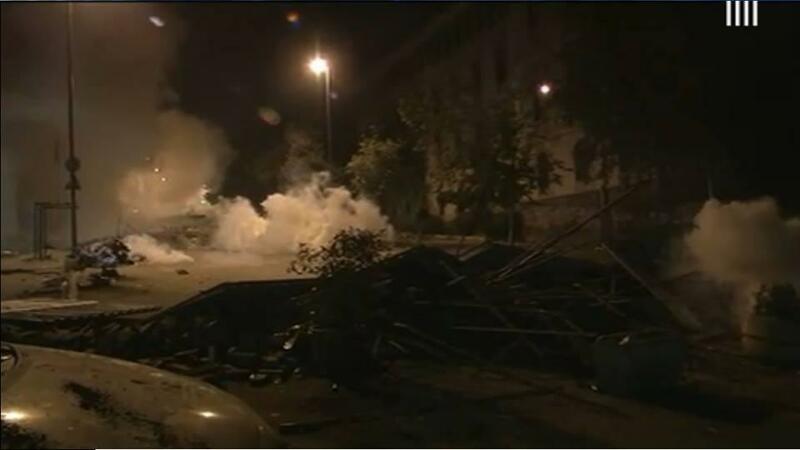 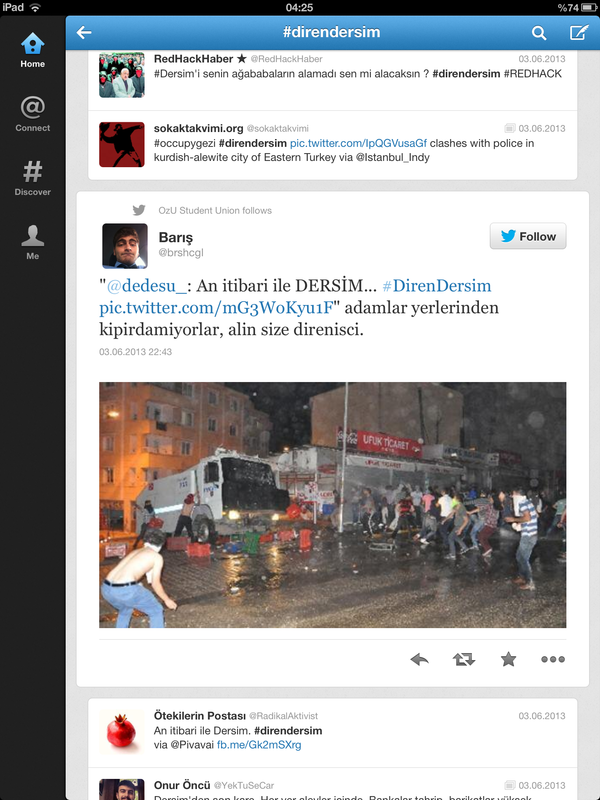 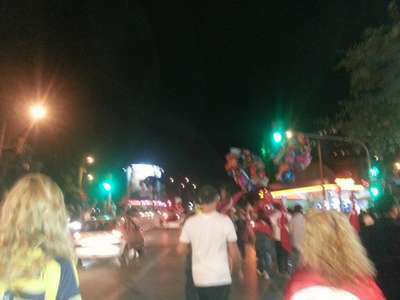 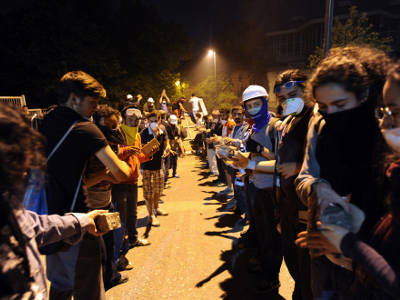 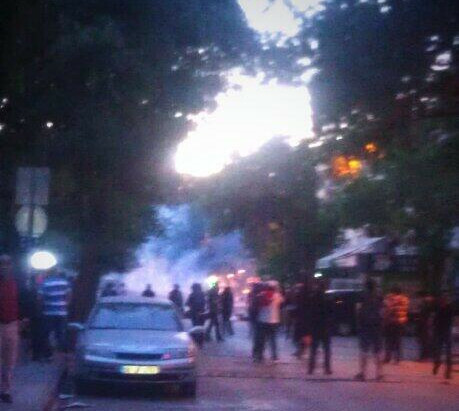 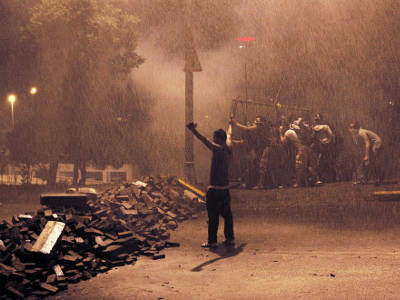 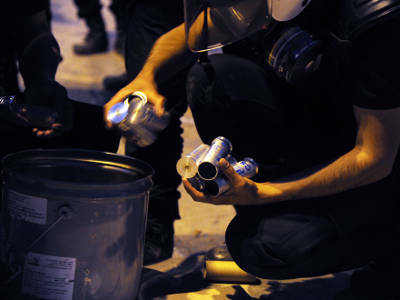 Clashes in Ankara and Beşiktaş was still continuing. 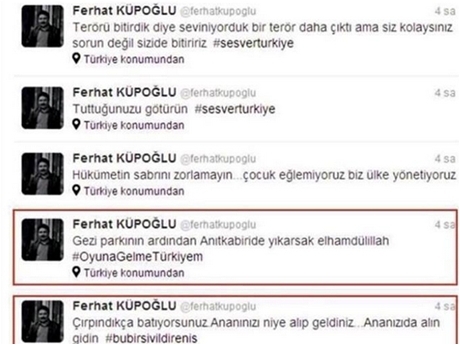 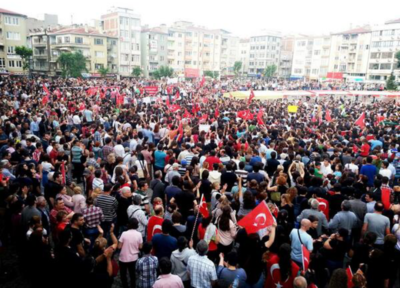 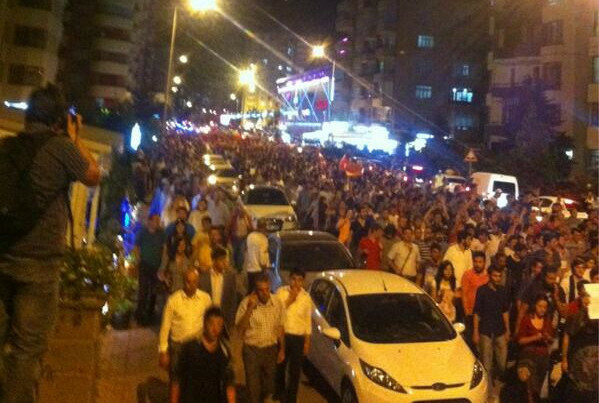 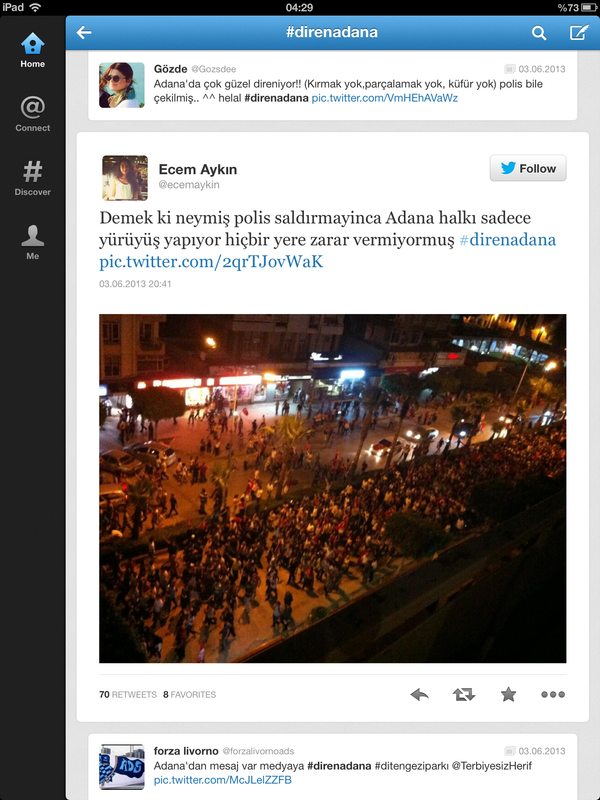 It is officially clarified that a protestor, Abdullah Cömert (22), lost his life during the clashes in Hatay, Turkey. 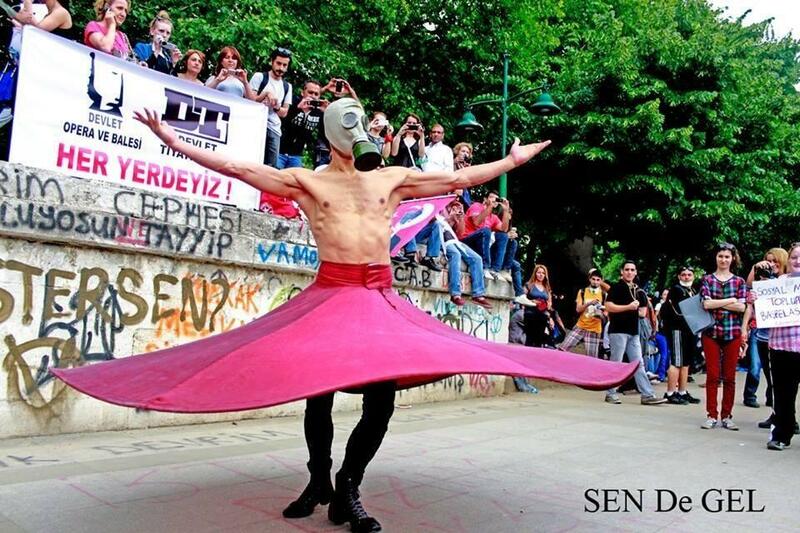 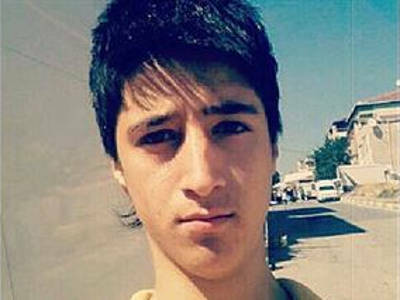 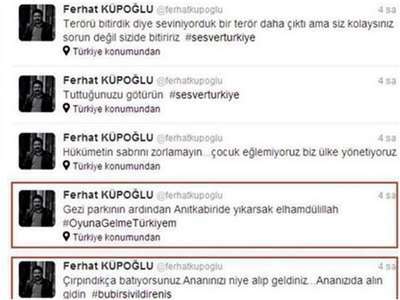 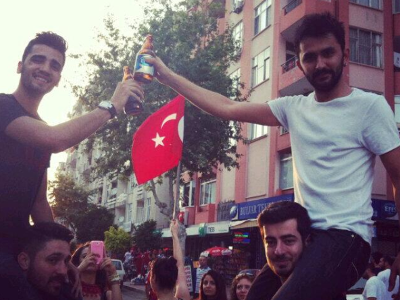 Another protestor, Mehmet Ayvalıtaş (20), lost his life in a car accident in İstanbul. 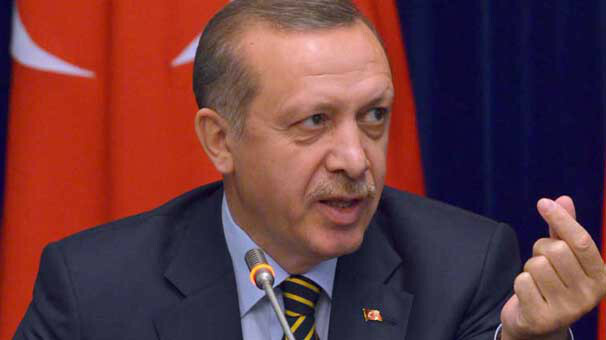 Recep Tayyip Erdoğan went to Morocco in the context of his South Africa visits. 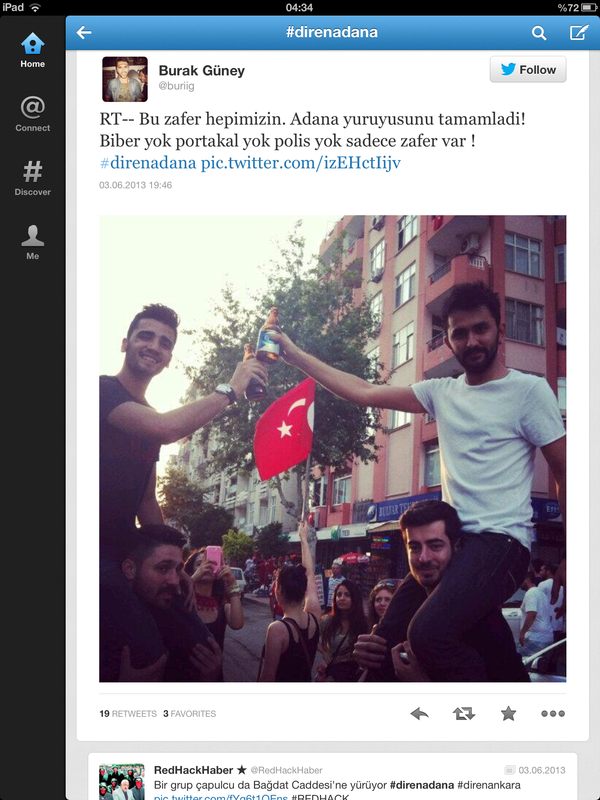 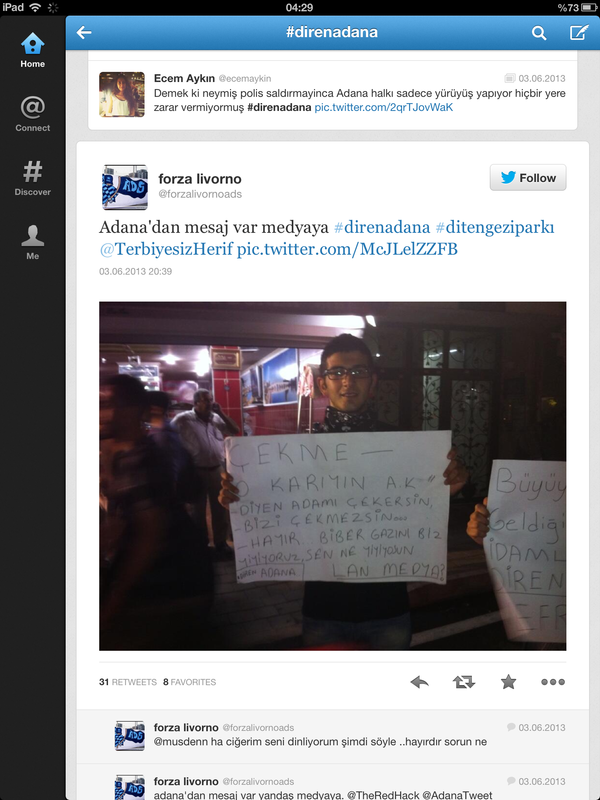 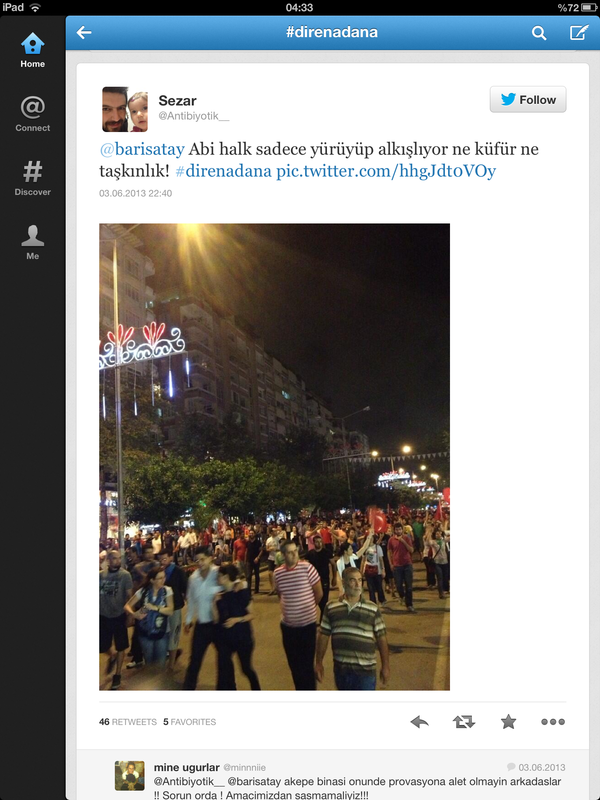 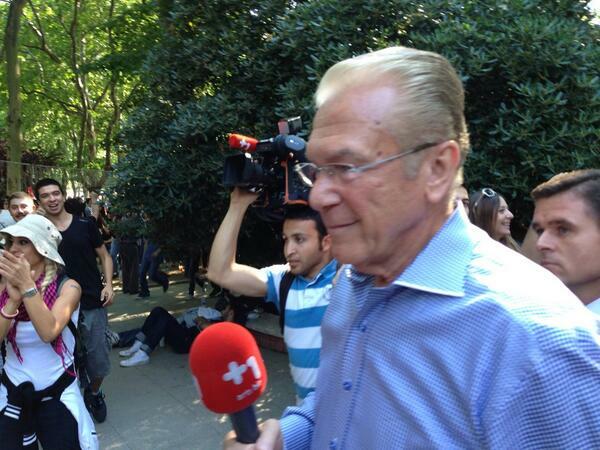 Journalist Uğur Dündar supporting the protests in Taksim, İstanbul. 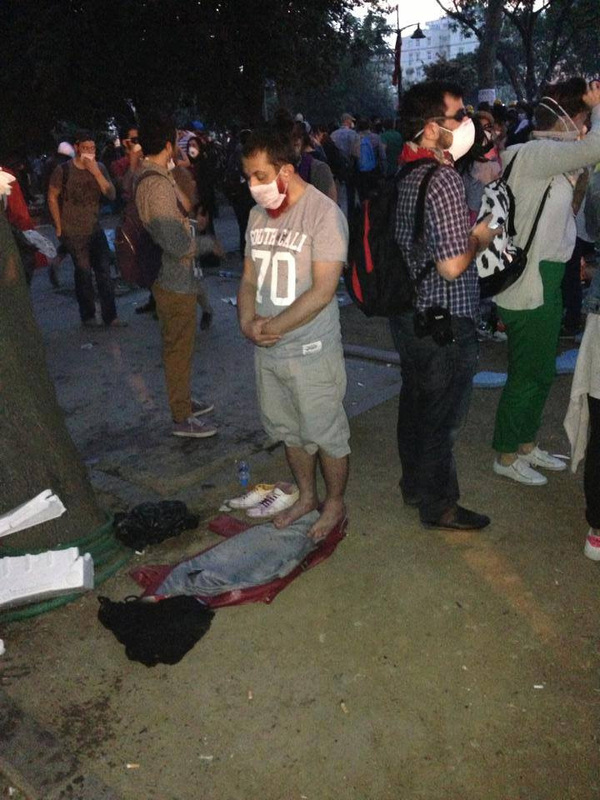 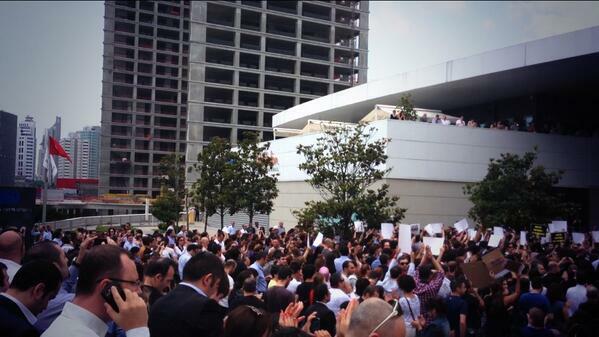 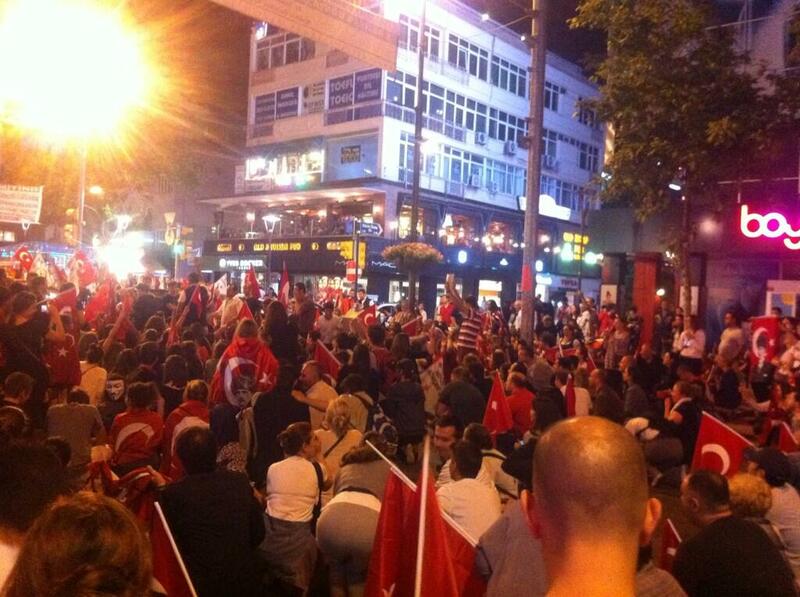 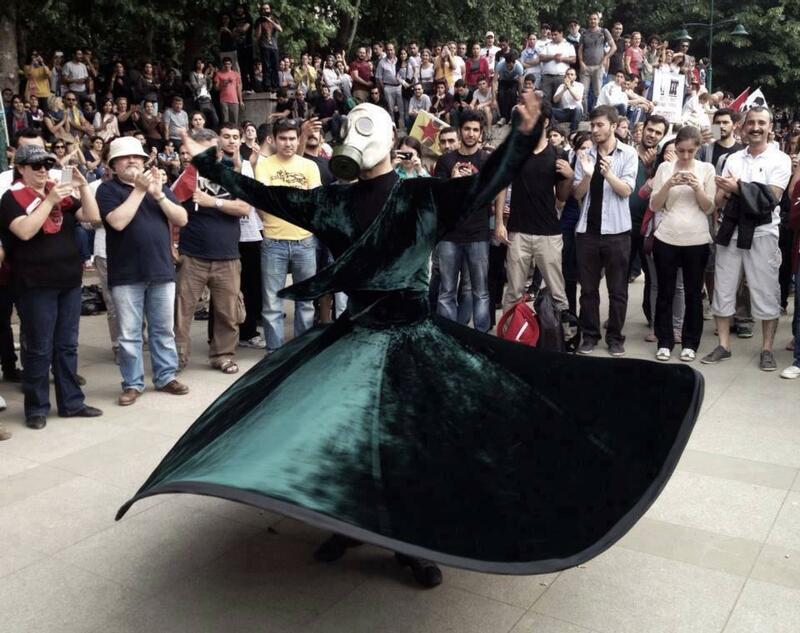 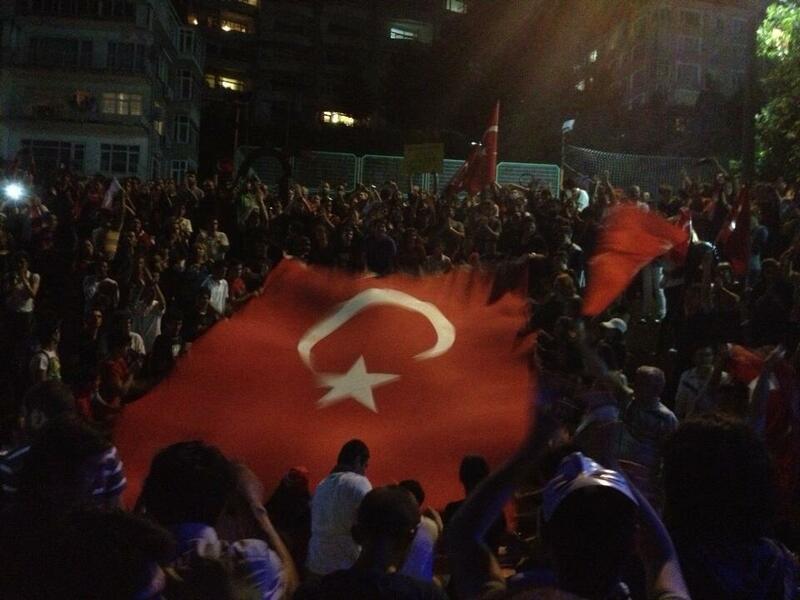 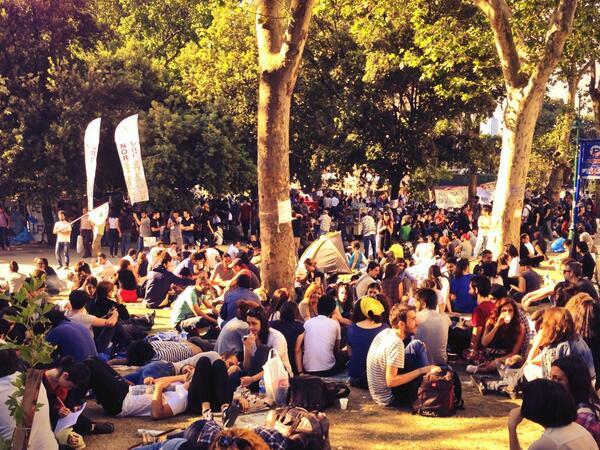 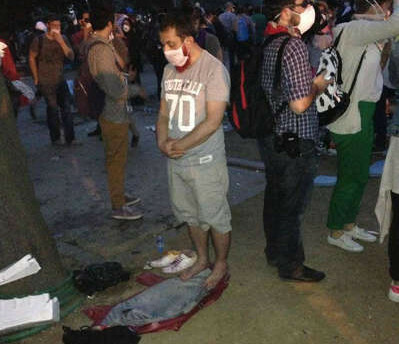 Some of the protesters are praying in Taksim, İstanbul. 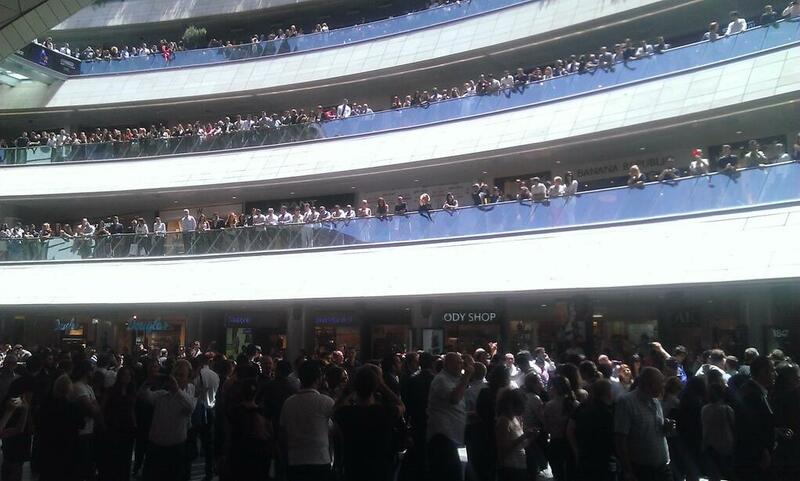 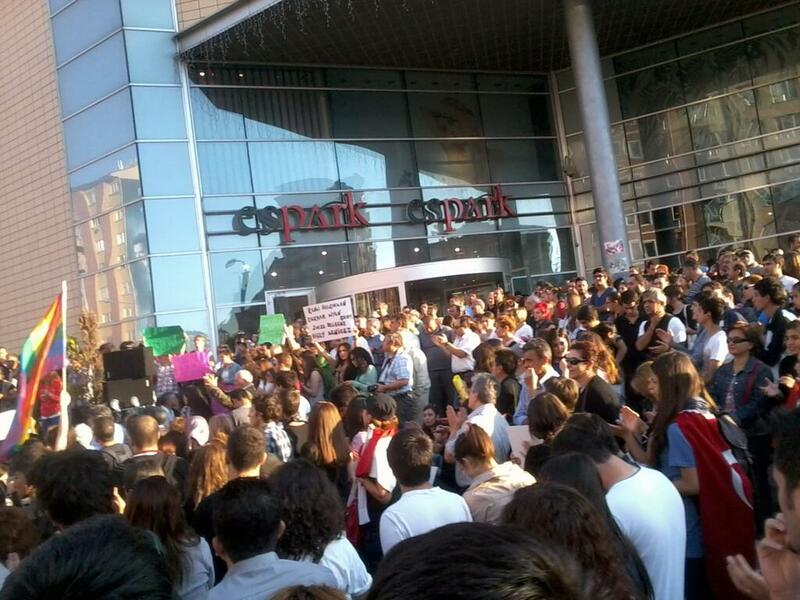 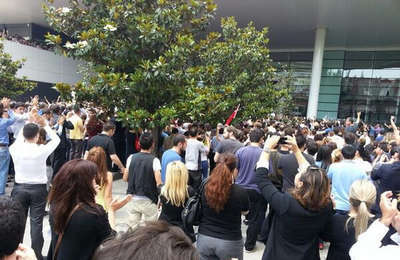 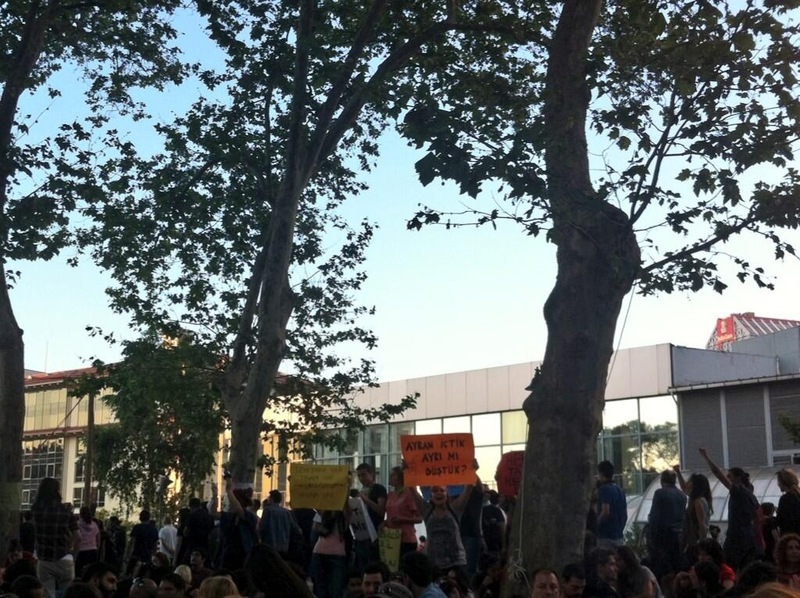 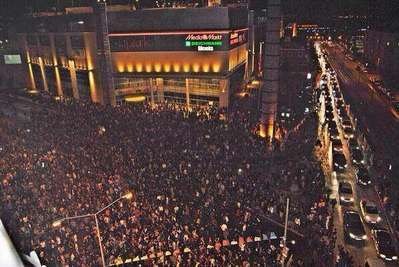 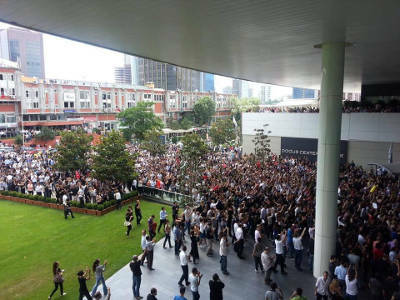 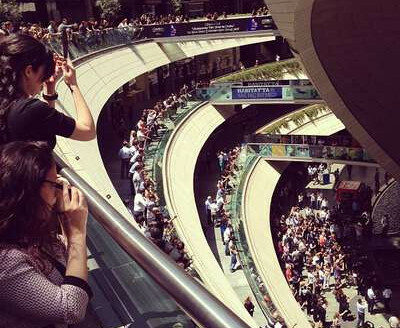 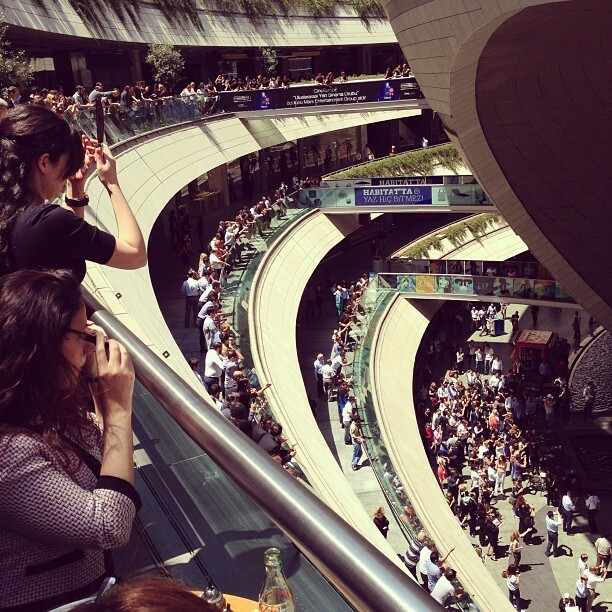 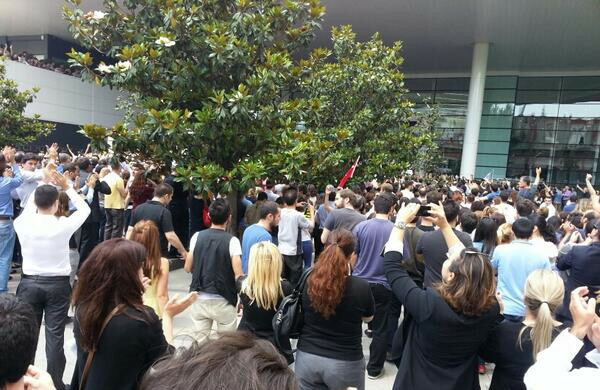 Crowd protesting the Starbucks shop in Kanyon mall for closing their doors to the injured protesters, in Levent, İstanbul. 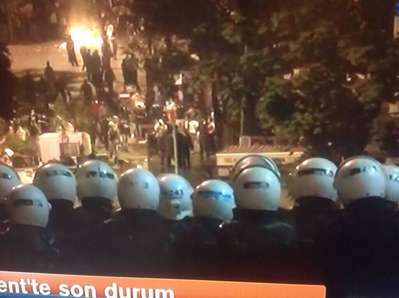 Doğuş Media Group, Maslak, İstanbul. 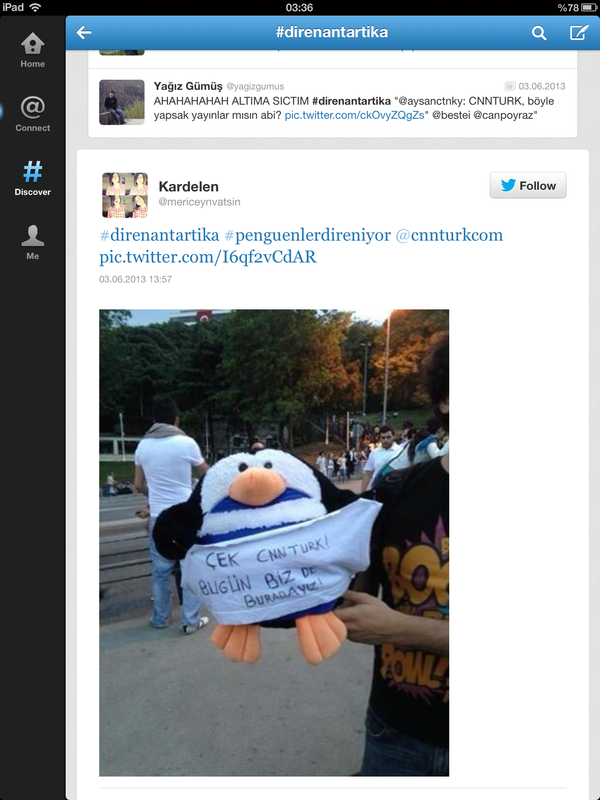 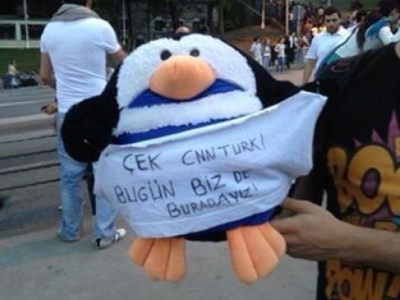 A toy penguin amusing with the CNN Türk. 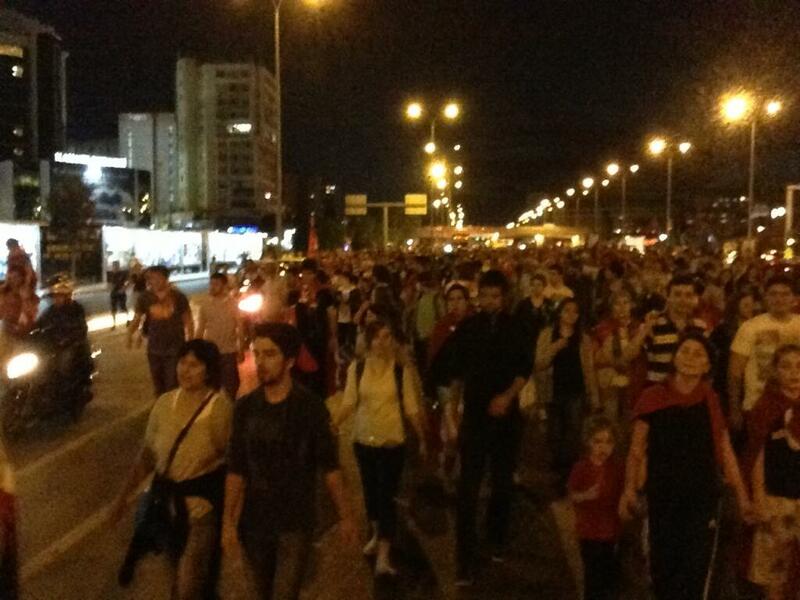 Protesters walking from Beşiktaş to Taksim. 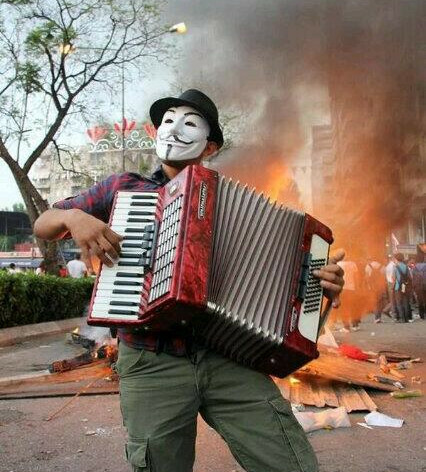 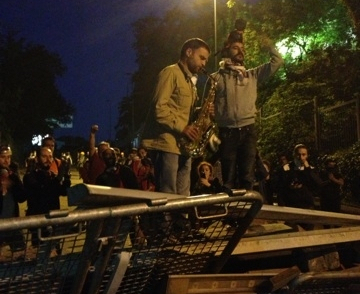 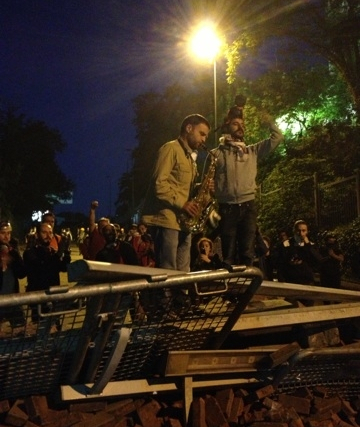 A protestor plays a saxaphones on the roadblokcs. 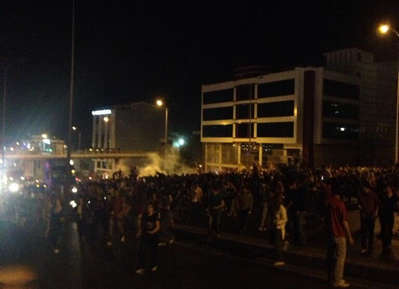 İnönü stadium in Beşiktaş, İstanbul. 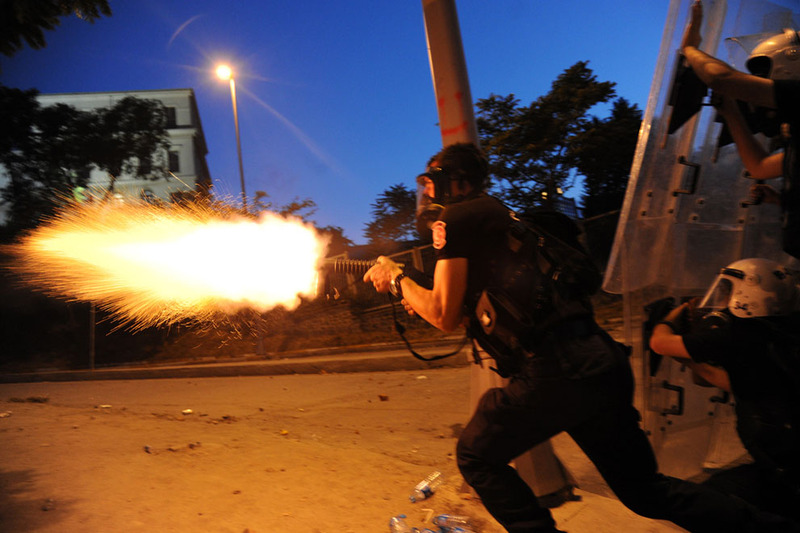 Police violence in Ankara continued the whole day. 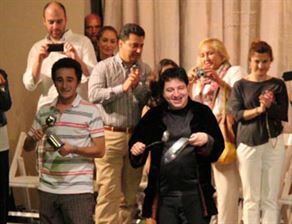 The first official statement of a dead is announced this day. Also the Union of Turkish doctors are stated that there are 1714 wounded people all around Turkey, of which some are injured seriously to the point of losing their vision. 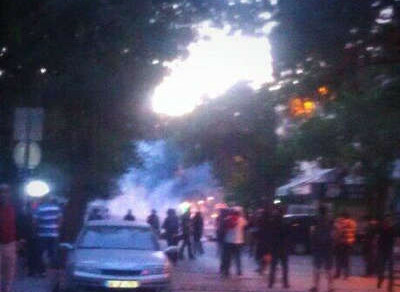 Clashes in Ankara and Beşiktaş was still continuing. 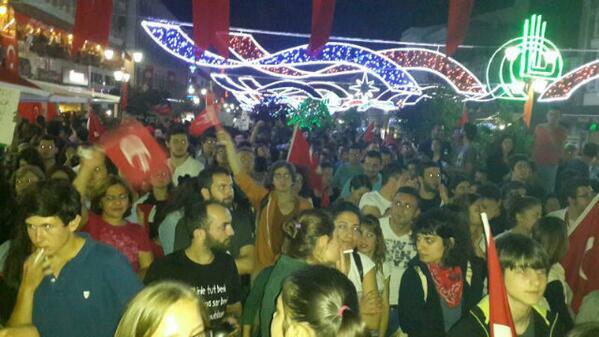 It is officially clarified that a protestor, Abdullah Cömert (22), lost his life during the clashes in Hatay, Turkey. 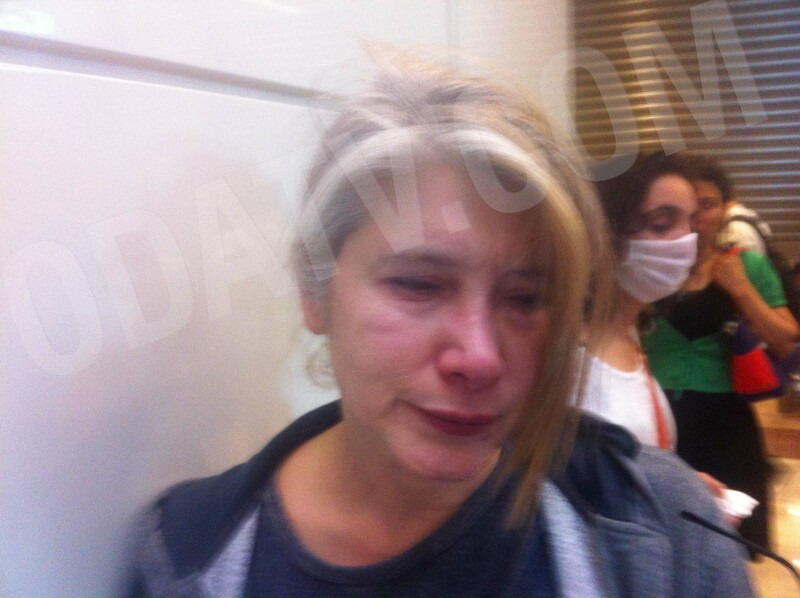 CHP parliament Emine Ülker Tarhan is affected by the excessive tear gas usage in Ankara, Turkey. 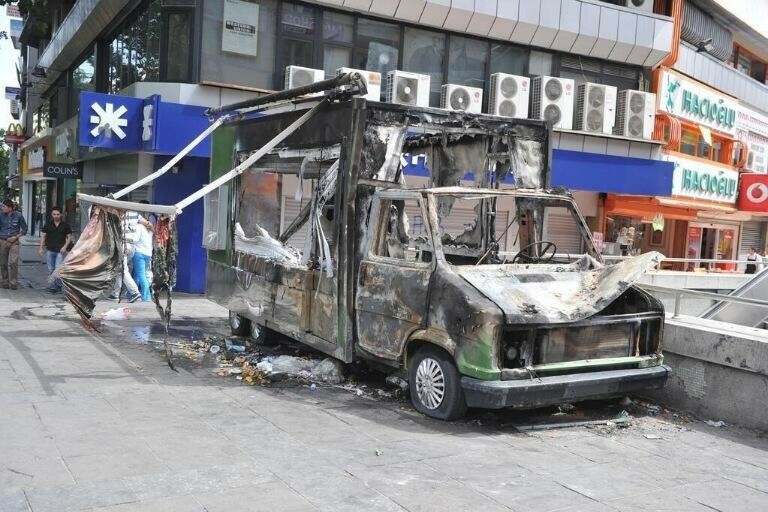 A vandalised municipality vehicle in Ankara, Turkey. 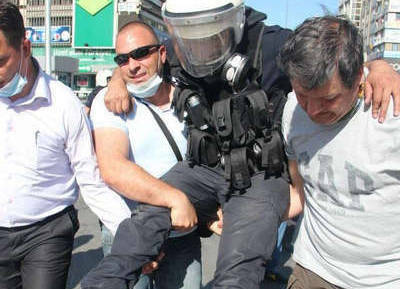 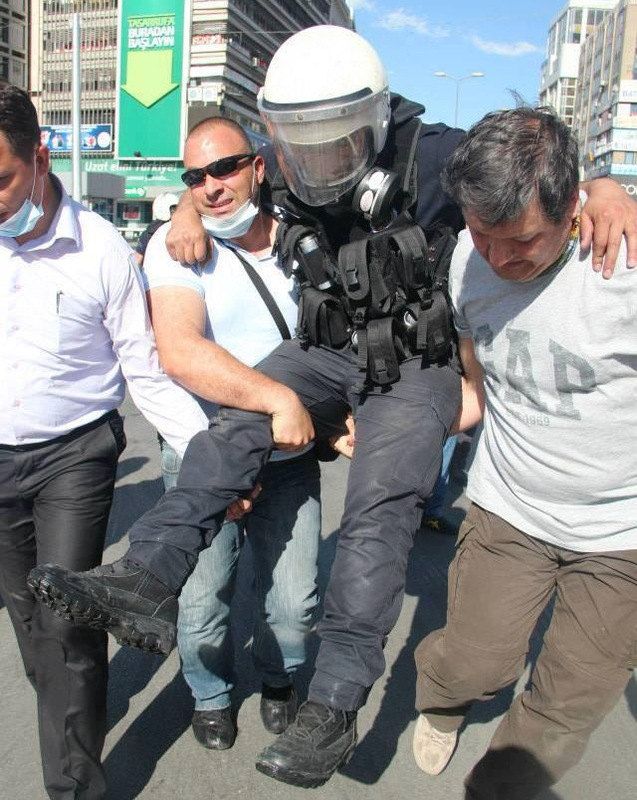 An injured police officer is getting carried by his colleague in Kızılay, Ankara, Turkey. 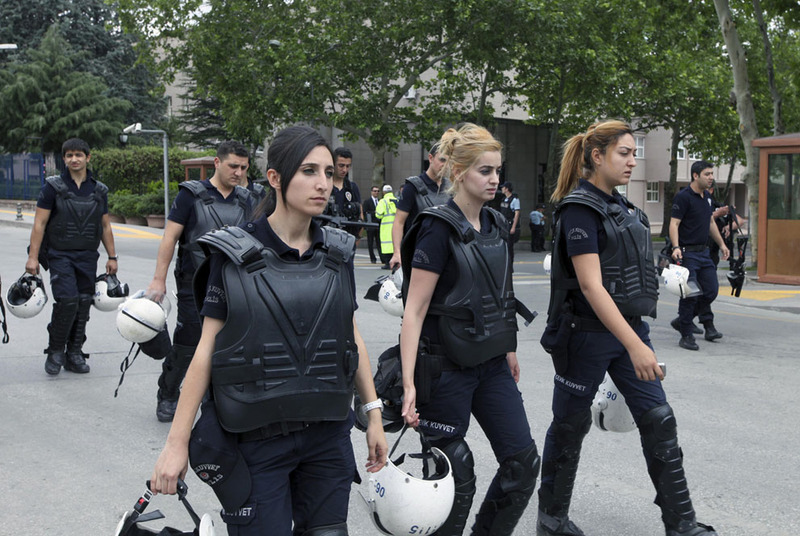 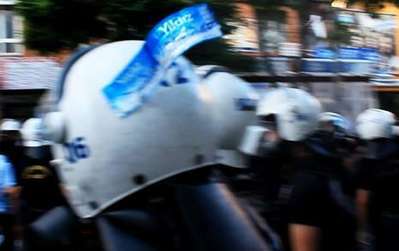 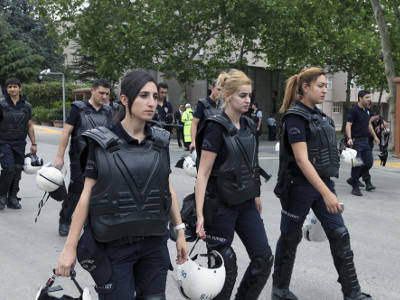 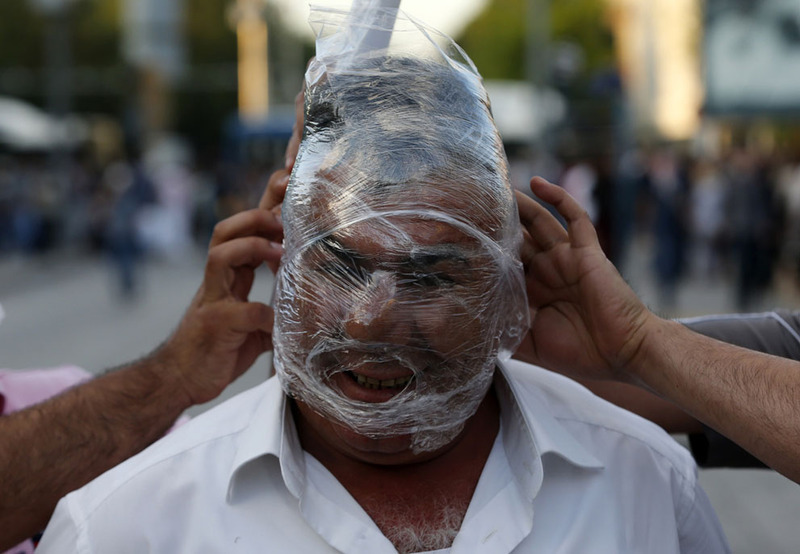 Police forces in Ankara, Turkey cover the IDs on their helments. 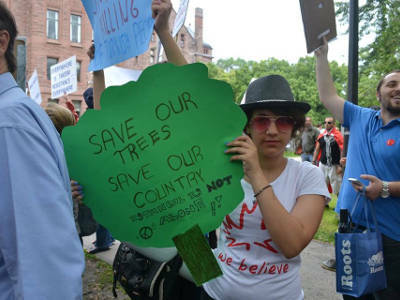 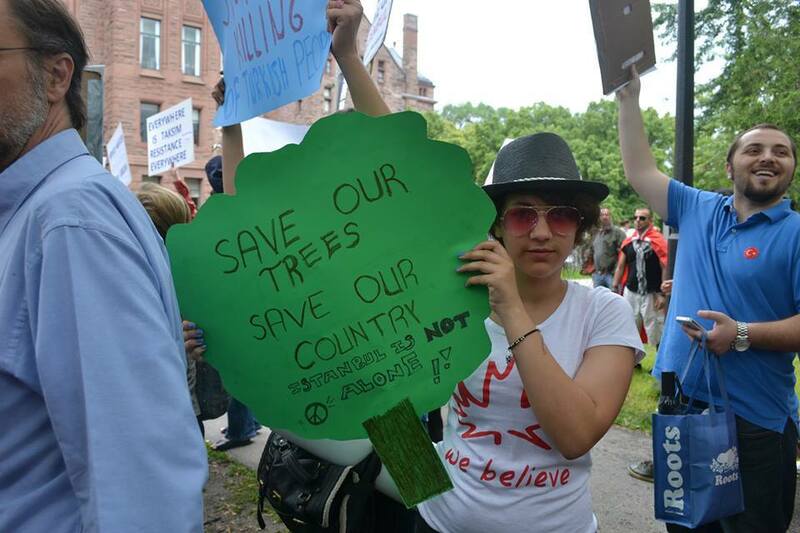 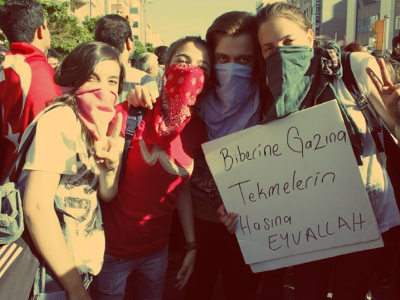 "Passive resistance here." 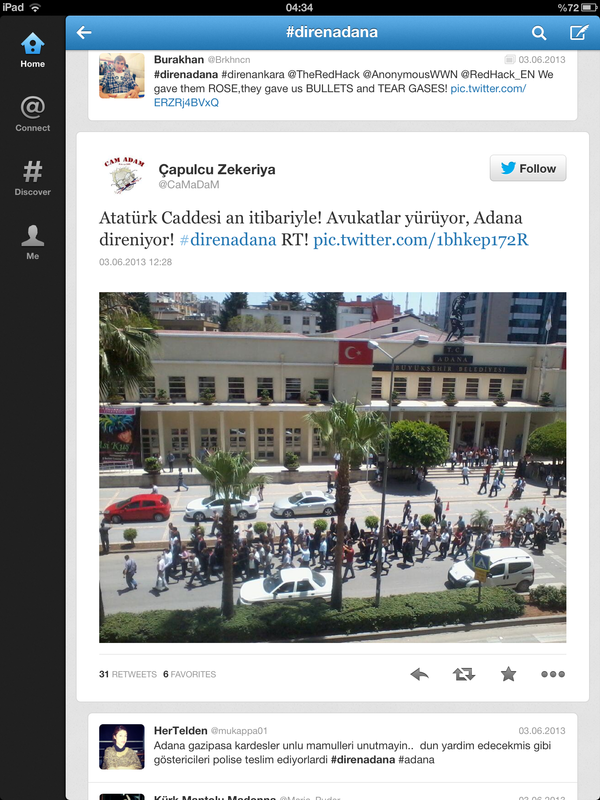 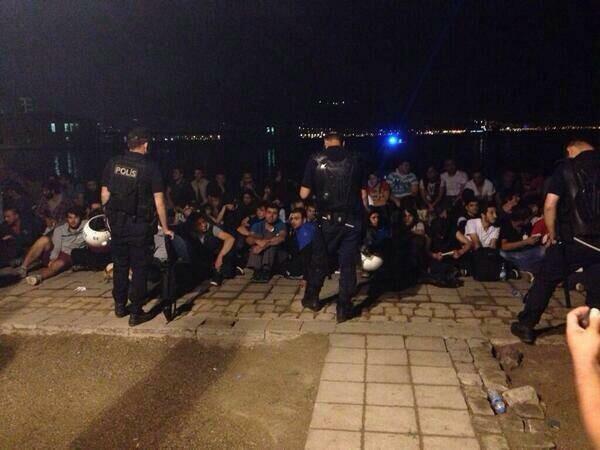 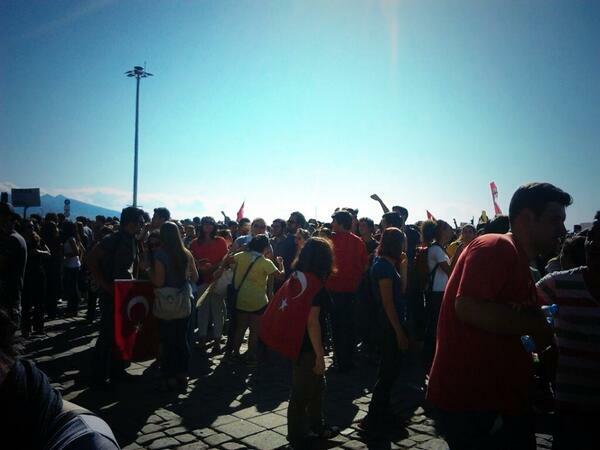 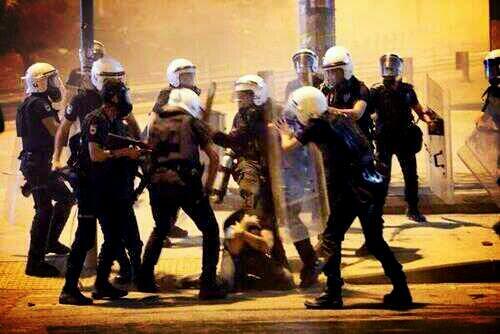 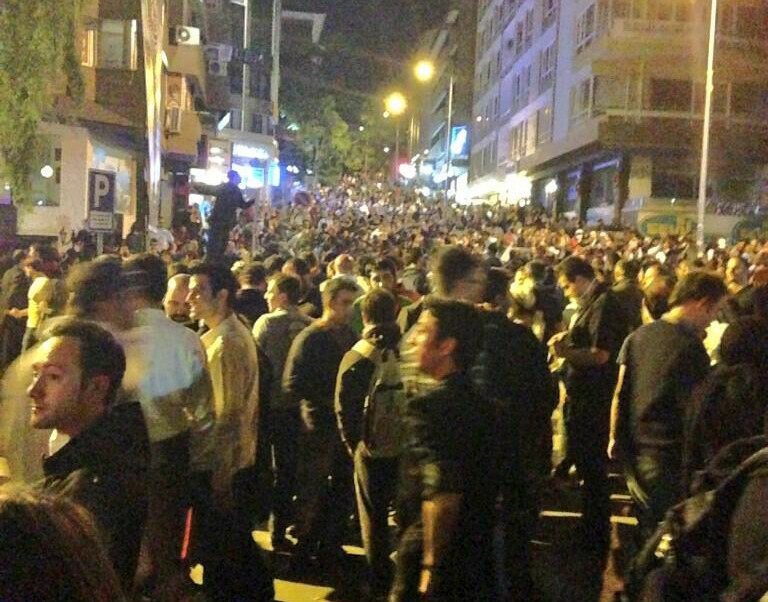 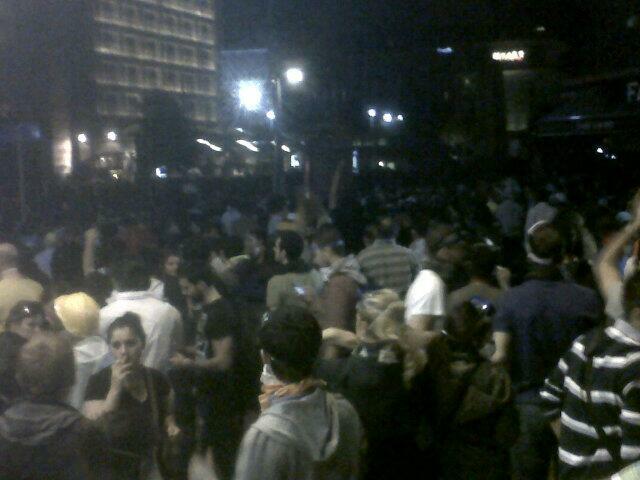 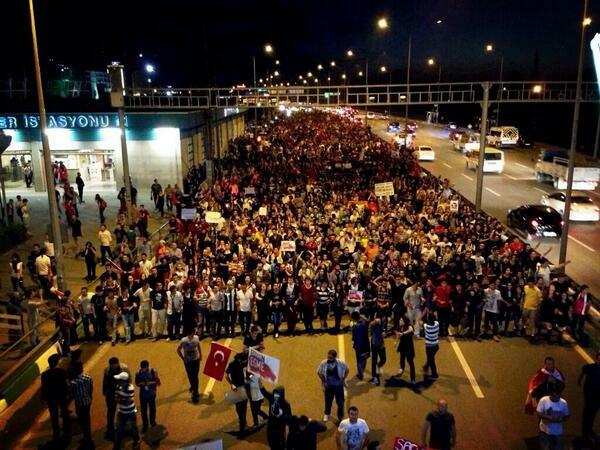 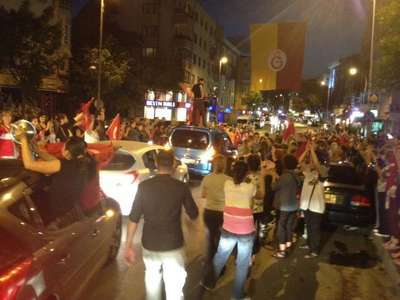 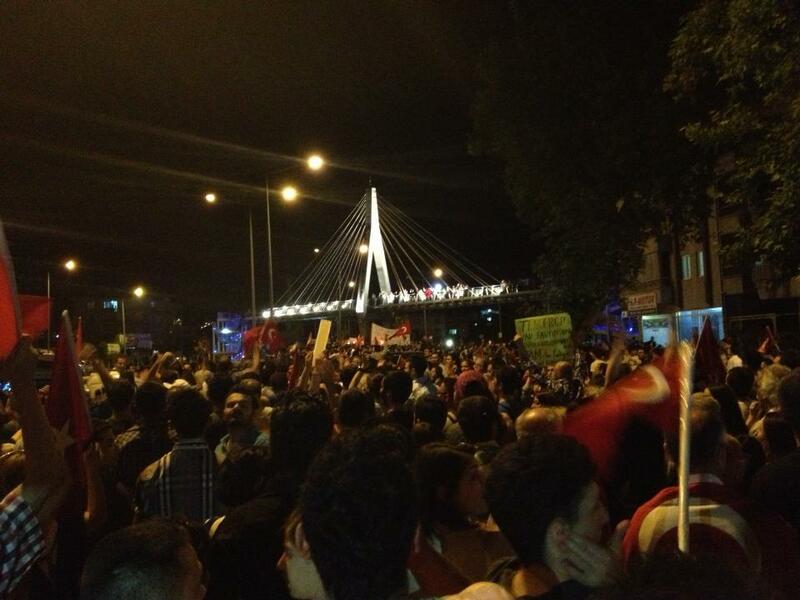 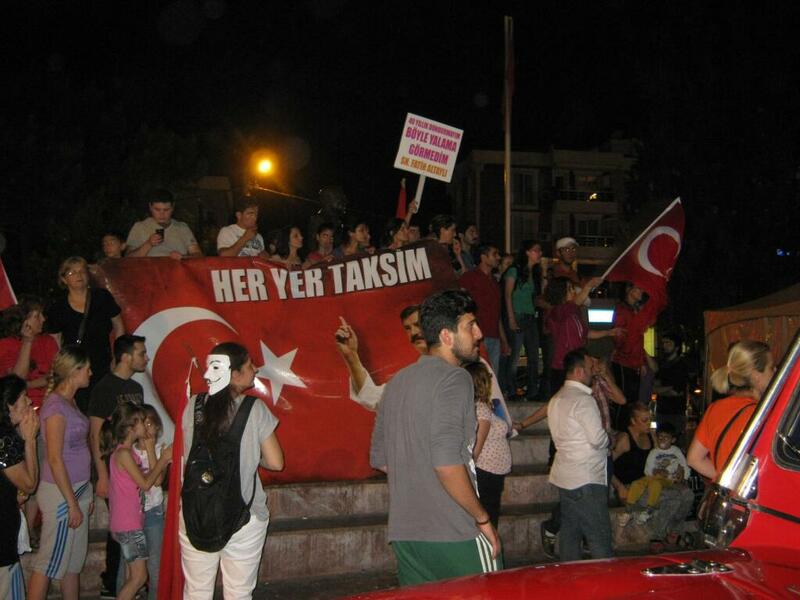 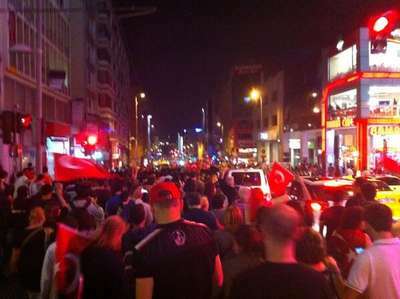 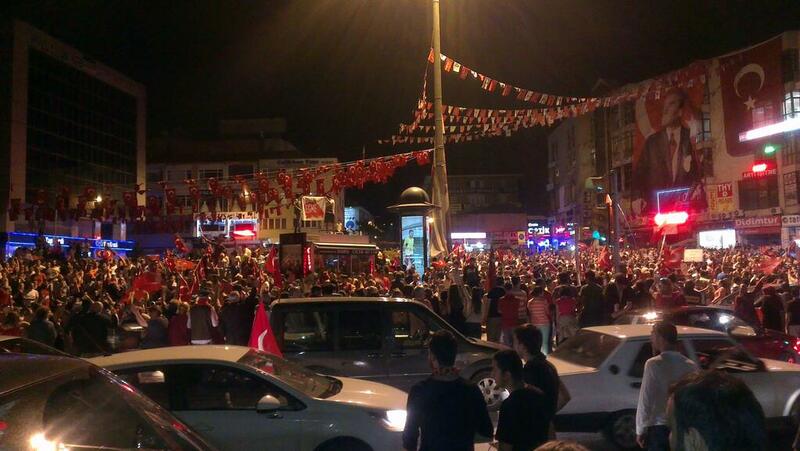 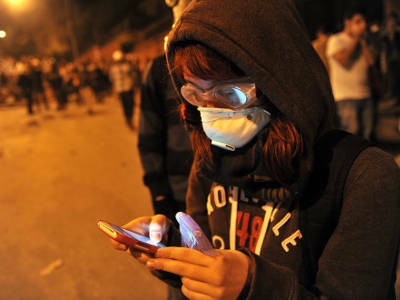 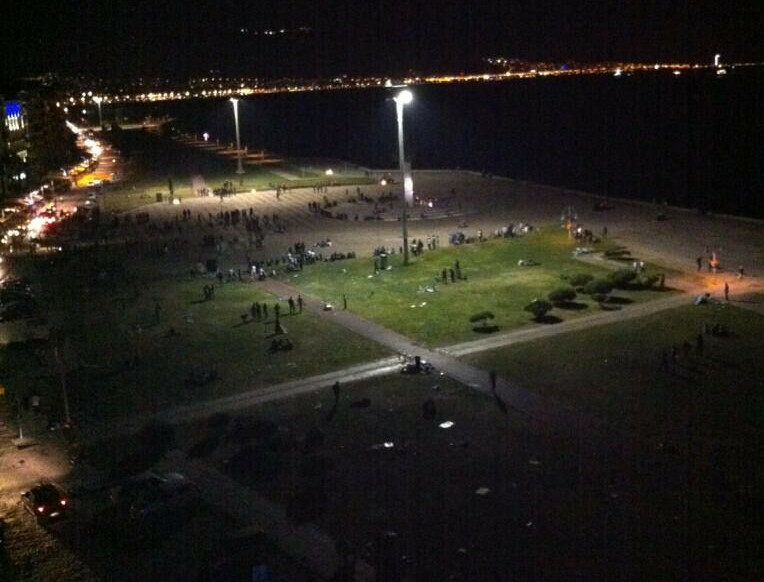 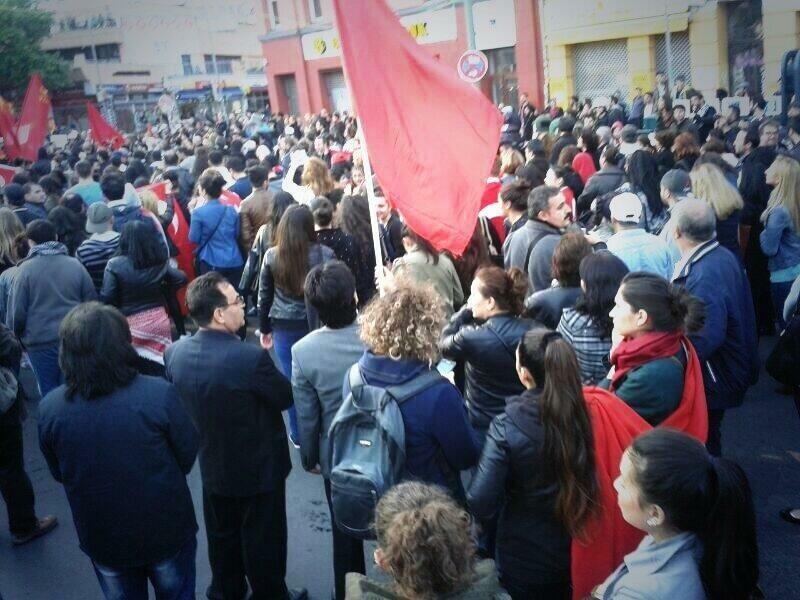 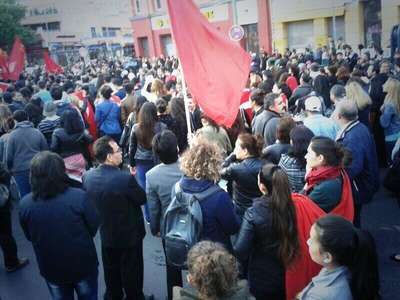 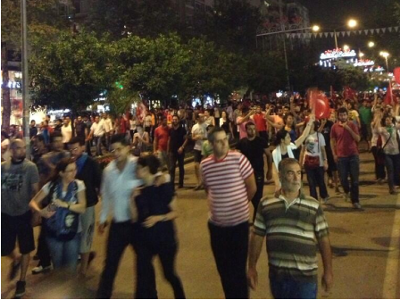 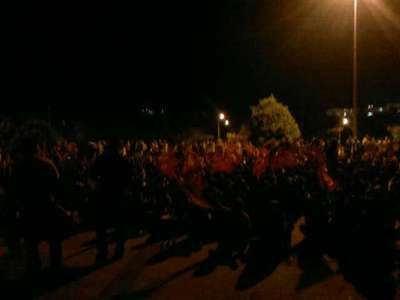 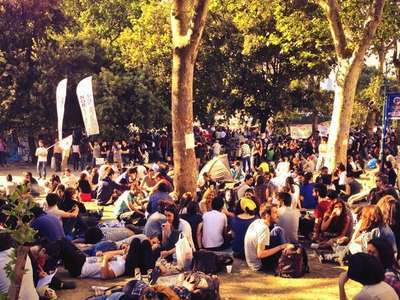 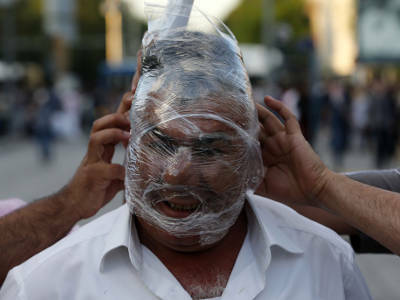 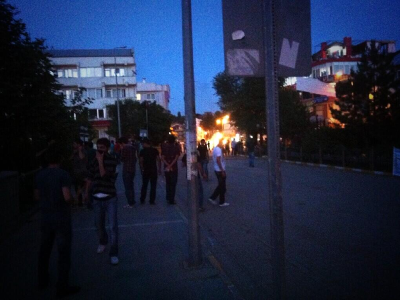 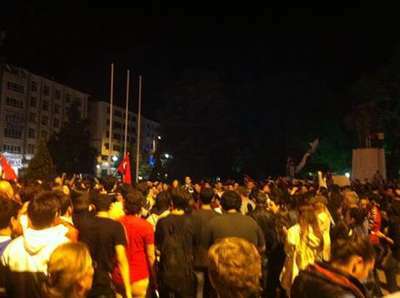 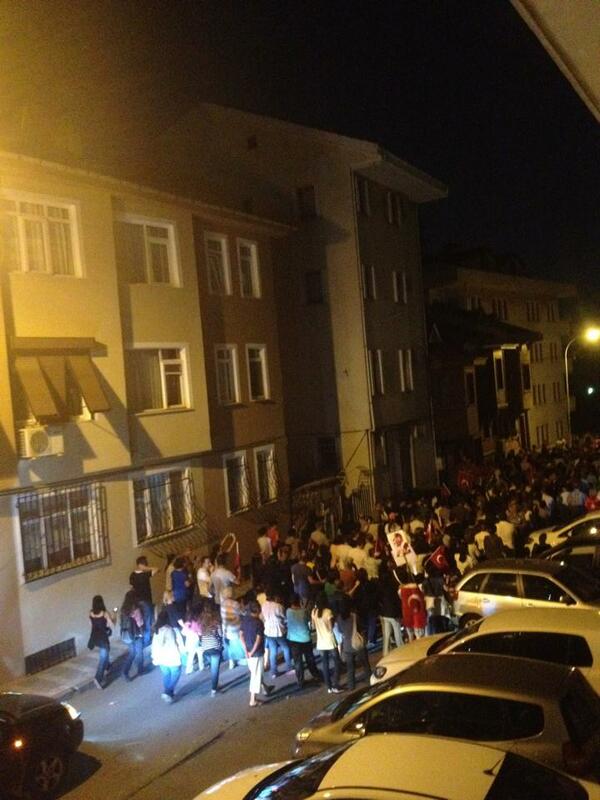 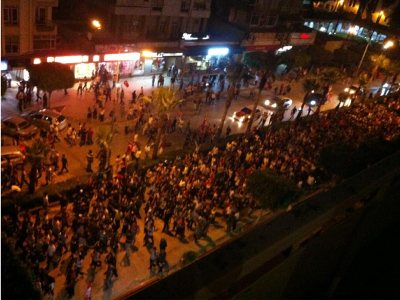 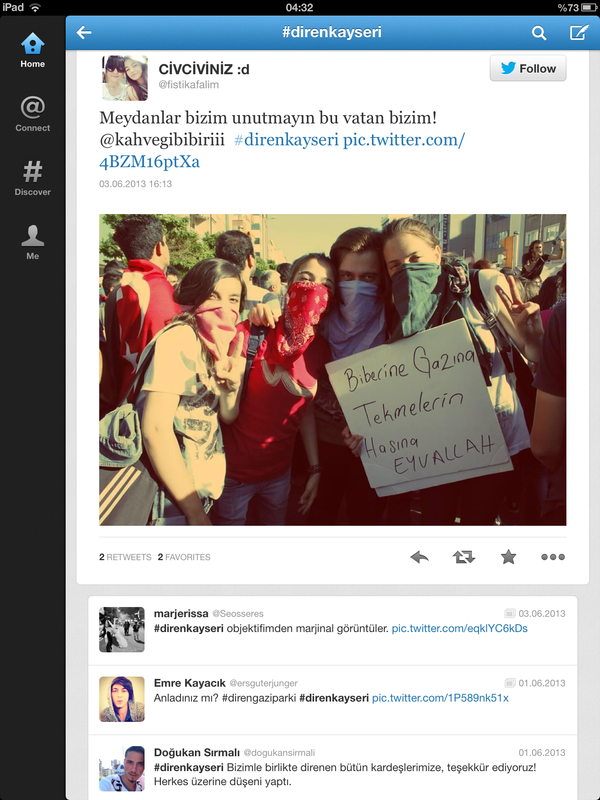 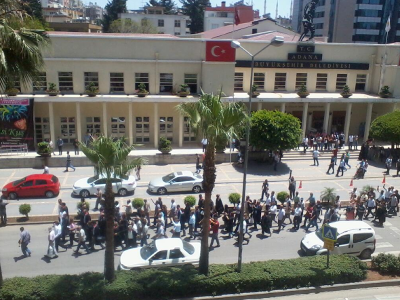 (Ankara, Turkey)"
Protesters in custody in İzmir, Turkey. 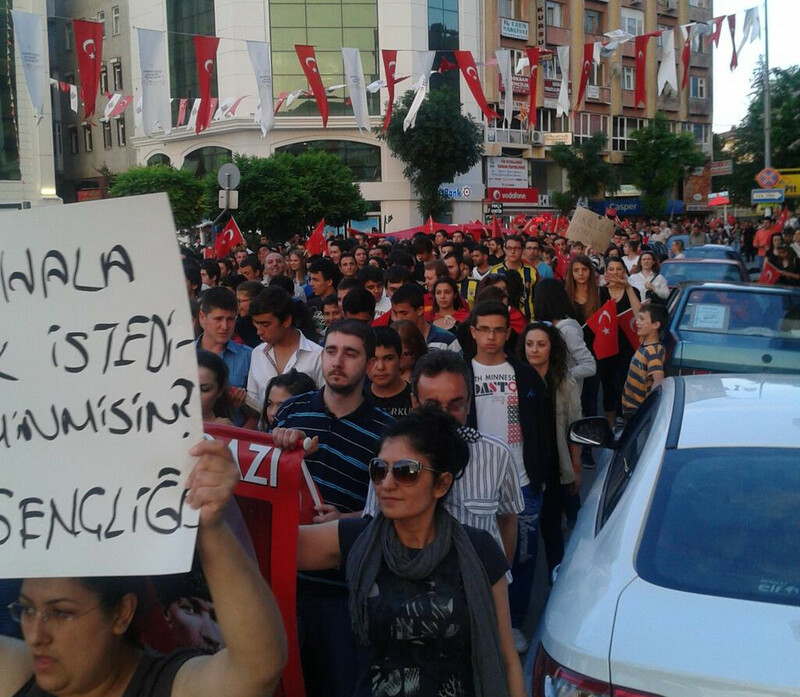 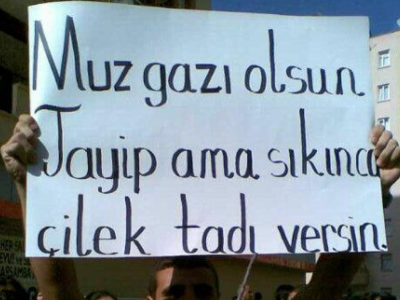 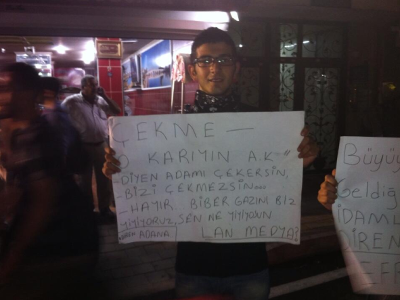 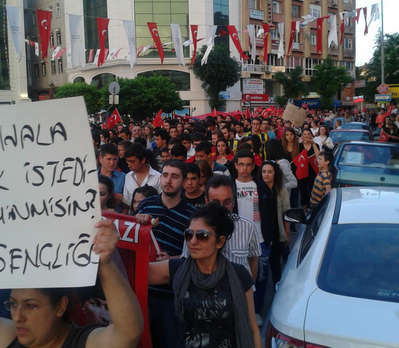 A banner from Adana, Turkey: "Let there also be gas with banana flavour and smells cherry when gets fired." 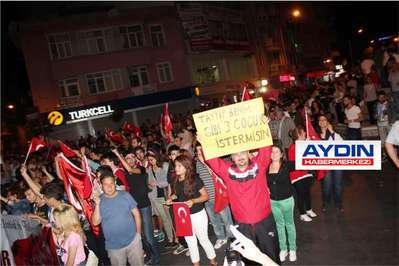 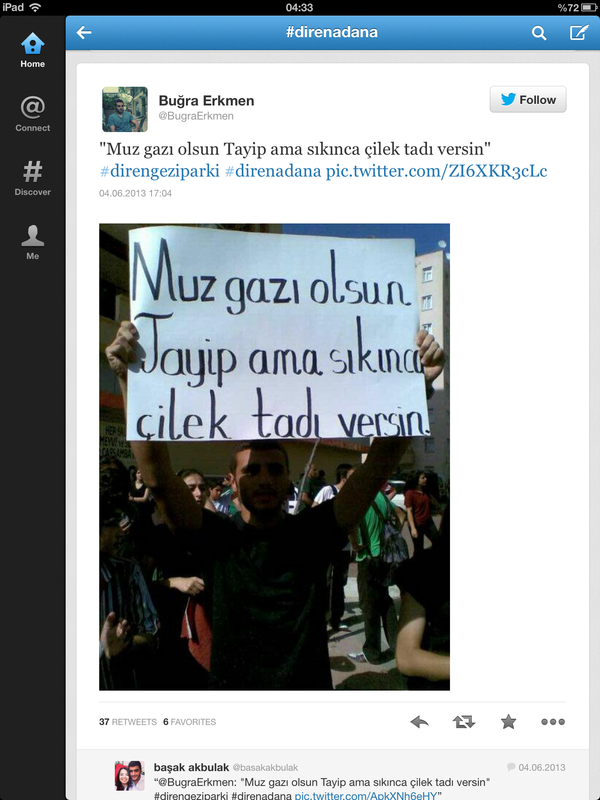 A banner from Adana, Turkey critisizing the media. Atatürk street in Adana, Turkey. 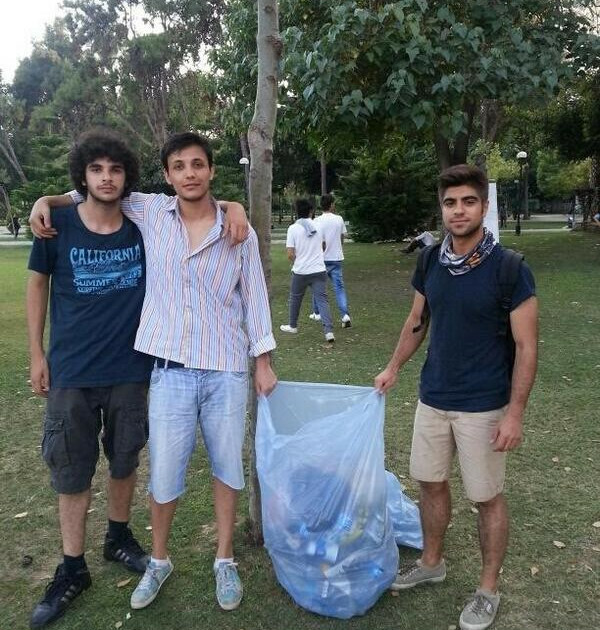 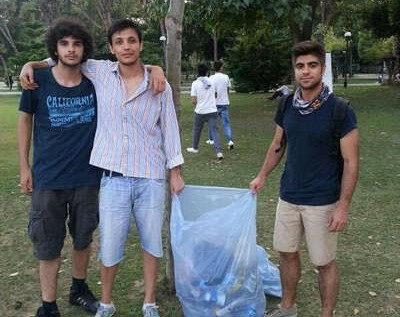 Protesters cleaning the park in Adana, Turkey. 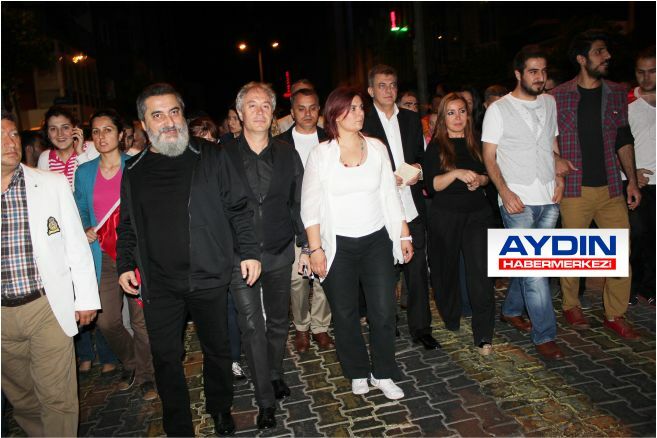 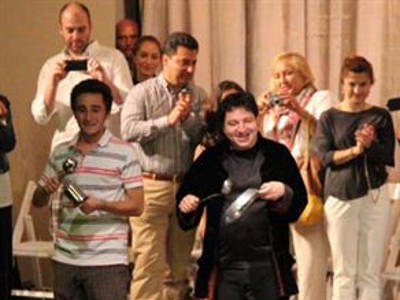 Özlem Çerçioğlu (Mayor of Aydın, Turkey) with journalists and artists. 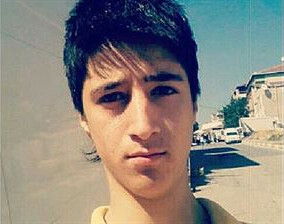 During the chaos in Hatay, Abdullah Cömert (22) lost his life. 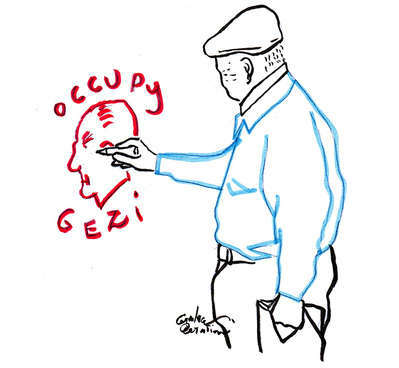 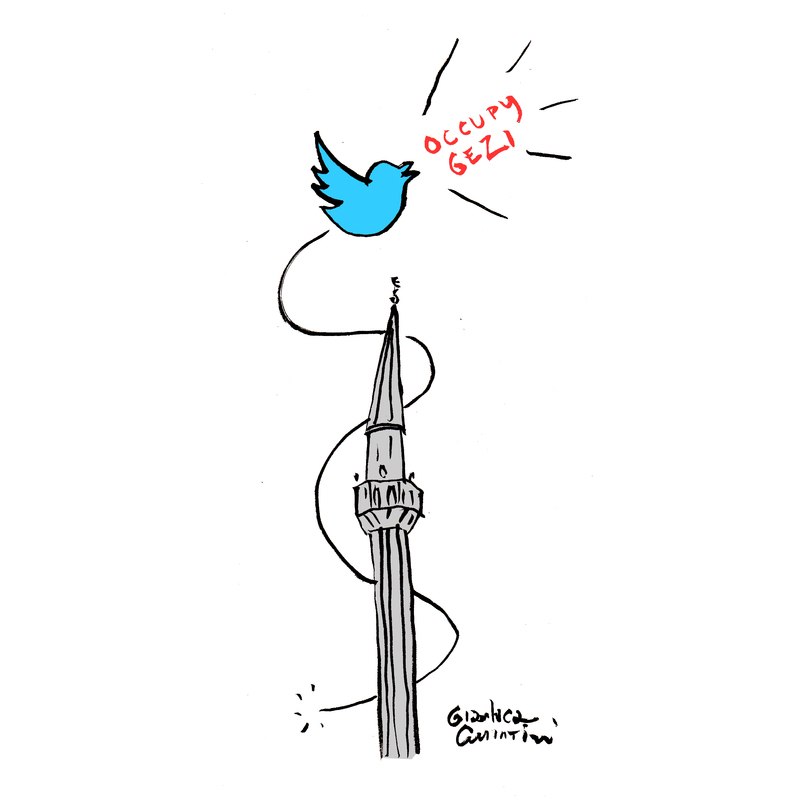 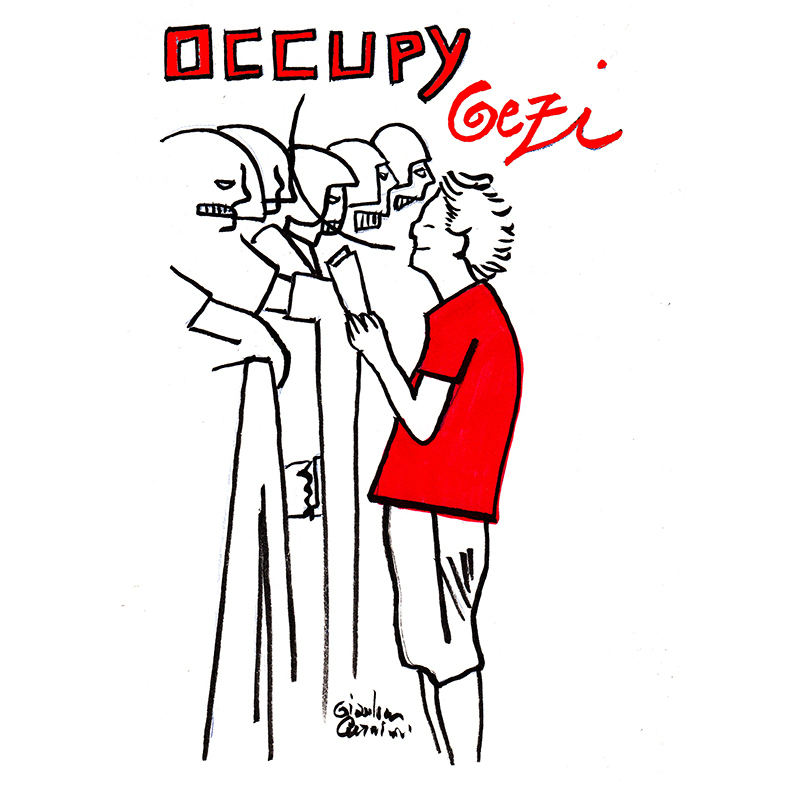 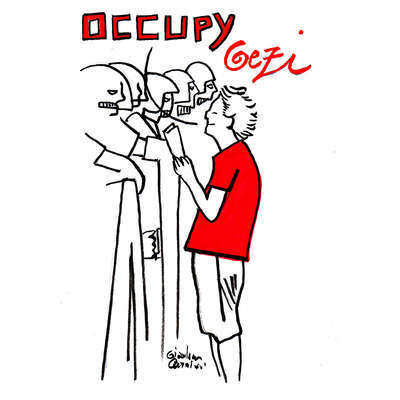 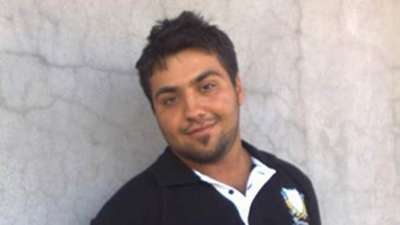 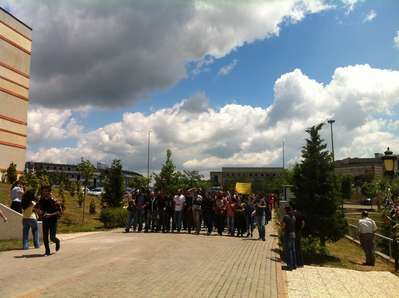 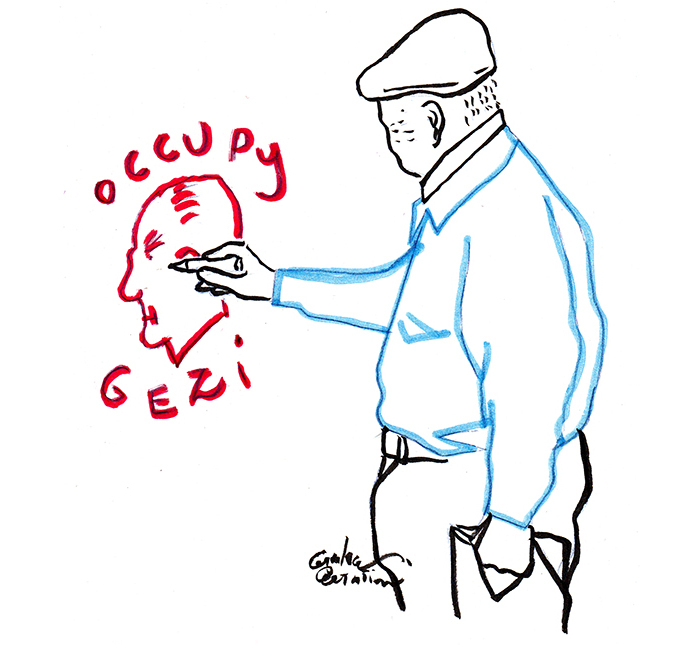 (Sabah) Abdullah Cömert was the first of who lost their lives in the protests. 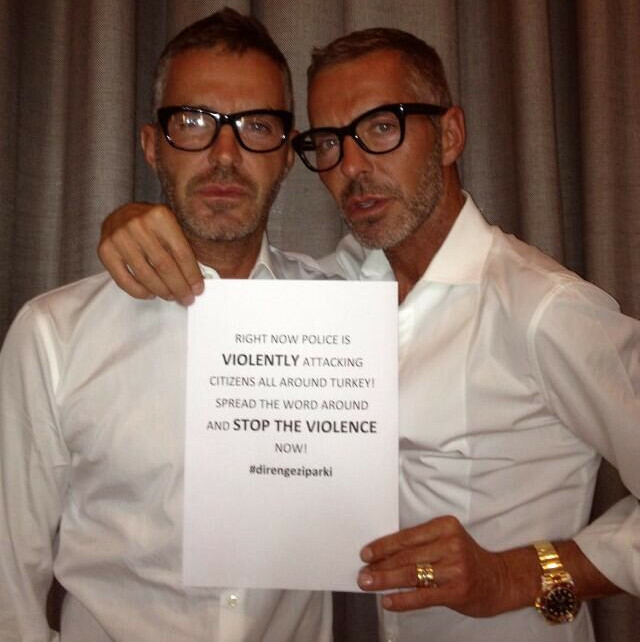 Fashion designers Dean and Dan Caten. 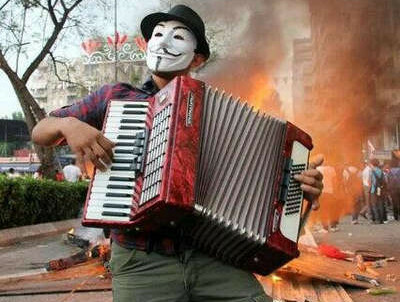 Facebook page of the Radiohead vocalist Thom Yorke.